AUSTIN, Texas, August 8, 2018 /PRNewswire/ — International Biophysics Corporation, a 26-year-old global medical device manufacturer based in Austin, Texas, announced today the publication of a clinical study on the mode of action of High Frequency Chest Wall Oscillation (HFCWO) vests. 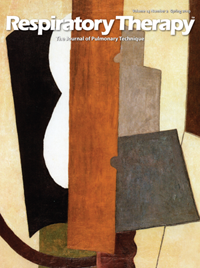 The study, Effect of High Frequency Chest Wall Oscillation Vests on Spirometry Measurements, was published today in Respiratory Therapy's online issue and will be featured in the next print issue scheduled for October. In addition, the abstract of the study will be published in Pediatric Pulmonology. Thomas W. O'Brien, MD, Pulmonologist at Pulmonary Disease Specialists in Kissimmee, Florida and the study's Principal Investigator, explained its primary purpose. "It has been claimed that one of the operating principles of HFCWO vests is creating ‘airflow bias' in the lungs, but valid clinical evidence supporting that claim is lacking. We aimed to prospectively evaluate lung function scores before, during and after use using different types of HFCWO vests to evaluate the claims of increased vest-induced airflow bias in the lungs." David Shockley, International Biophysics' President and CEO, concluded: "This clinical study challenges the long-held belief that HFCWO vest-induced cephalad airflow bias correlates to effective airway clearance therapy. Manual Chest Physical Therapy (CPT) has always been considered the gold standard in mobilizing and clearing lung secretions. We engineered and developed the Afflovest to mimic hand CPT using our patented Direct Dynamic Oscillation™ technology that also provides the benefit of mobility and portability during use for the user. Aerogen, the global leader in aerosol drug delivery, has been recognized with the prestigious 2018 Zenith Award for respiratory care excellence by the American Association of Respiratory Care (AARC). The win represents the fifth time that Aerogen has received the award. Widely recognized as the top award of the respiratory care profession, the Zenith Award is voted on by over 47,000 AARC members based on their experience and expertise with a wide range of respiratory products. Judging criteria included outstanding service, product quality, accessibility and helpfulness of sales staff, responsiveness, truth in advertising and support of the respiratory care profession. “We are honored to be recognized by the respiratory therapy community in this way. As a fifth time recipient, we are proud to retain the confidence and trust of respiratory care professionals. Aerogen is committed to work daily to maintain this valued relationship.” John Power, CEO of Aerogen. Aerogen officially received the Award at the opening ceremony for the 64th International Respiratory Congress this December in Las Vegas, NV. It will be received by two of Aerogen’s long standing employees Susan Sickal, Sales Operations and Customer Support Manager and Peter Kahane, Senior Critical Care Specialist, both of whom exemplify the traits of customer centric approach and help to make Aerogen a leader in the industry. Circassia Pharmaceuticals, Inc., a specialty pharmaceutical company focused on respiratory disease, announced that Fractional Exhaled Nitric Oxide (FeNO) monitoring is recommended in the latest Global Initiative for Asthma (GINA) guide, “Difficult-to-Treat & Severe Asthma in Adolescent and Adult Patients – Diagnosis and Management”. Asthma is a chronic inflammatory respiratory disease. During airway inflammation associated with allergic/eosinophilic asthma, higher-than-normal levels of nitric oxide (NO) are released from epithelial cells of the bronchial wall. Measuring the concentration of NO in exhaled breath, or fractional exhaled nitric oxide, can help identify airway inflammation. Circassia’s innovative NIOX® technology provides objective and accurate FeNO measurement of airway inflammation, and is the only FeNO testing device in the US available at point-of-care. The new GINA guide recommends FeNO measurement as an assessment tool to determine whether patients who are on high-dose inhaled corticosteroids (ICS) or low-dose oral corticosteroids (OCS) have residual inflammation. This can provide a potential predictor of good response to anti-immunoglobulin E (anti-IgE) therapy for patients with severe, allergic asthma, and is a tool to identify refractory type 2 inflammation in patients on high-dose ICS therapy. The guide suggests repeating FeNO measurement up to three times when asthma worsens before deciding if it is non-type 2. For patients with elevated type 2 biomarkers on high-dose ICS, FeNO monitoring is recommended to assess adherence before prescribing a biologic. Lastly, FeNO measurement is suggested as a means of monitoring tapering of oral corticosteroid treatment. Circassia announced earlier in 2018 that major insurer Aetna updated its policy to deem FeNO by NIOX as “medically necessary” as a part of comprehensive asthma diagnosis and management. NIOX testing is considered affordable and accessible for both patients and their physicians, as an estimated 80 percent of American lives have insurance coverage for NIOX testing. Asthma often begins in childhood, but can affect people of any age. The disease is characterized by attacks (exacerbations) of breathlessness and wheezing of varying severity and frequency, which if left untreated, can be life-threatening. Asthma is a common condition, with the World Health Organization estimating 235 million people have the condition worldwide. Asthma affects approximately 25 million people in the United States. GINA estimates that 17 percent of asthma patients are considered “difficult-to-treat”, such that their asthma is uncontrolled despite treatment with a medium or high dose inhaled corticosteroid, with a second controller and maintenance oral corticosteroid therapy, or requires such treatment to maintain good symptom control and reduce the risk of exacerbations. An estimated 3.7 percent of asthma patients are considered “severe” in that asthma is uncontrolled despite adherence with maximal optimized therapy and treatment of contributory factors, or that worsens when high dose treatment is decreased. According to GINA, type 2 inflammation is found in approximately half of people who have severe asthma. GINA was launched in 1993 in collaboration with the National Heart, Lung, and Blood Institute (NIH) and the World Health Organization. Embracing the issue of severe asthma was a critical goal for the GINA Board of Directors and Science Committee, as their mission remains focused on maximizing benefit for patients with asthma while minimizing healthcare provider burden. ResMed, a leader in cloud-connected medical devices and out-of-hospital software-as-a-service (SaaS) business solutions, today announced it has entered a definitive agreement to acquire Propeller Health, a digital therapeutics company providing connected health solutions for people living with chronic obstructive pulmonary disease (COPD) and asthma. Named a “2017 Most Innovative Company” by Fast Company, Propeller helps people and their doctors better manage their COPD and asthma. Propeller’s digital medicine platform consists of small sensors that easily attach to consumers’ inhalers and pair with a mobile app to automatically track medication use and provide personal feedback and insights. Propeller’s clinically validated solutions have demonstrated a 58 percent improvement in medication adherence, 48 percent increase in symptom-free days and 53 percent reduction in emergency room visits.Propeller’s ability to support people in stage II and III severity levels of their COPD are complementary to ResMed’s own suite of cloud-connected ventilators for those with stage III and IV COPD, including Astral, Stellar and AirCurve 10 ST-A with iVAPS – plus ResMed’s new portable oxygen concentrator Mobi. “Acquiring Propeller is a significant step for ResMed toward becoming the global leader in digital health for COPD," said ResMed CEO Mick Farrell. “By working with Propeller’s existing partners to offer digital solutions for respiratory care pharmaceuticals and building on our proven ability to support digital solutions at scale, we can positively impact the lives of even more of the 380 million people worldwide who are living with this debilitating chronic disease.” “Helping inhaler users improve adherence and avoid hospitalizations perfectly serves ResMed’s mission: to improve people’s quality of life, reduce the impact of chronic disease and save healthcare costs across the out-of-hospital care spectrum,” said ResMed Respiratory Care President Richie McHale.“ResMed shares our belief that connected health solutions create vastly better experiences and outcomes for people with chronic respiratory disease,” said David Van Sickle, co-founder and CEO of Propeller. “Joining forces enables us to accelerate the adoption of Propeller’s solutions at a global scale, and serve as a powerful platform for a broad set of pharmaceutical and healthcare partners.” Propeller is privately funded, and based in Madison, Wisconsin, with an office in San Francisco. It will continue to operate as a standalone business within ResMed’s Respiratory Care portfolio. There will be no immediate changes to management, locations or business processes. Van Sickle will continue in his current role, now reporting to McHale. Medical device company Hayek Medial is expanding its brand by starting up an Instagram account. The company, which bills itself as the ‘world’s home of Biphasic Cuirass Ventilation’ can be found at the @hayekmedical Instagram account. The account features helpful information and photos and diagrams of its devices. You can also tag them with #HayekBCV on the social network. Lonhala Magnair is the first nebulized long-acting muscarinic antagonist (LAMA) approved for the treatment of COPD in the US and the first use of the Magnair, which is based on the closed eFlow technology system, developed by PARI Pharma GmbH, to treat COPD. This technology is a virtually silent, portable, closed system nebulizer that is designed to deliver the drug in two to three minutes and allows people to breathe normally while using the device. “We are proud that the FDA has approved Lonhala Magnair as the first nebulized, long-acting muscarinic antagonist treatment option for people in the US living with COPD,” said David Frawley, Executive Vice President and Chief Commercial Officer at Sunovion. “The approval of Lonhala Magnair underscores our leadership in nebulization and the value we place on providing innovative treatment options for people living with COPD. Lonhala Magnair is an important addition to our portfolio of approved COPD therapies for people at various stages of COPD, providing the flexibility to choose handheld or nebulized products based on individual needs.” Despite the availability of several therapies, many people still struggle to control their COPD – a challenge that may be affected by the delivery method used to administer a medication, said Gary Ferguson, MD, Pulmonary Research Institute of Southeast Michigan, Farmington Hills, Michigan. “Lonhala Magnair offers an important new option that combines the efficacy of a proven medication for COPD with the attributes of a unique handheld nebulizer that allows a person to breathe normally while taking their medication. Approximately 15.7 million adults in the US report they have been diagnosed with COPD, a common, preventable and treatable disease that is characterized by persistent respiratory symptoms and airflow limitation that is due to airway and/or lung abnormalities usually caused by significant exposure to toxic particles or gases. The main risk factor for COPD is tobacco smoking, but other environmental exposures may contribute. The disease makes it hard for people to breathe and subsequently may limit their ability to perform some routine activities, including the proper inhalation of medication. This improper medication technique may impact treatment over time and may also result in an inadequate amount of the drug reaching the lungs, potentially worsening a person’s COPD. For people with moderate-to-very-severe COPD, nebulized treatments offer an alternative to inhalers, allowing a person to breathe normally while taking their medicine. The approval is based on data from the clinical trials in the Glycopyrrolate for Obstructive Lung Disease via Electronic Nebulizer (GOLDEN) program, which included GOLDEN-3 and GOLDEN-4, two Phase 3, 12-week, randomized, double-blind, placebo-controlled, parallel-group, multicenter, efficacy and safety trials comparing LONHALA MAGNAIR with placebo in adults with moderate-to-very-severe COPD. At study endpoints, individuals treated with Lonhala Magnair demonstrated statistically significant and clinically important changes from baseline in trough forced expiratory volume in one second at Week 12 versus placebo. An additional study, GOLDEN-5, was a Phase 3, 48-week, randomized, open-label, active-controlled, parallel-group, multicenter safety trial designed to evaluate the long-term safety and tolerability of Lonhala Magnair in adults with moderate-to-very-severe COPD and included the active comparator Spiriva (tiotropium bromide) delivered by the HandiHaler device. Lonhala Magnair was generally well-tolerated in clinical studies, with the most common side effects being exacerbations and cough. The overall treatment emergent adverse events (TEAE) incidences were similar for glycopyrrolate and tiotropium groups over 48 weeks. CSA Medical Inc. presented positive results of its feasibility study of the RejuvenAir Metered Cryospray system at the 2018 European Respiratory Society (ERS) Congress in Paris. In an analysis of 30 patients at 6-month follow up, treatment with RejuvenAir resulted in clinically meaningful improvement in Quality of Life, as measured by Saint George’s Respiratory Questionnaire (SGRQ) and COPD Assessment Test (CAT). The procedure demonstrated a strong safety profile and was well tolerated. Dirk-Jan Slebos, MD, PhD of the Department of Pulmonary Diseases, at the University Medical Center Groningen, The Netherlands reported that “The RejuvenAir therapy appears to have a beneficial response with a decrease in cough and mucus production even in our patients who had optimized medical management. The overall improvement in breathing resulted in increased physical activity supporting the potential for RejuvenAir to measurably improve quality of life in chronic bronchitis patients.” As reported at ERS, RejuvenAir therapy demonstrated strong safety and tolerability profile during the study with minimal procedure related adverse events and serious adverse events. Importantly, there were no pneumothorax or pneumomediastinum events. Patients were able to be discharged from outpatient bronchoscopy suite on day of treatment. On SGRQ, patients treated with RejuvenAir improved by an average of 10.9 points (p<0.02) at 6-month follow-up. According to peer-reviewed literature, an improvement of 4 points on SGRQ is considered to be clinically meaningful. On CAT, patients treated with RejuvenAir improved by an average of 3.4 points (p<0.02) at 6-month follow-up. According to peer-reviewed literature, an improvement of 2 points on CAT is considered to be clinically meaningful. “We are encouraged by these positive safety and feasibility results and we’re moving forward with plans to initiate a worldwide pivotal study of RejuvenAir in chronic bronchitis in 2019,” said Wendelin Maners, CSA Medical’s Chief Commercial Officer, who further stated, “We look forward to advancing this novel therapy toward commercialization to provide relief to the millions of patients suffering from COPD with chronic bronchitis.” The Safety and Feasibility Study of RejuvenAir for Treating Chronic Bronchitis Patients (NCT02483637) is a prospective, open label, single arm study of COPD patients with known chronic bronchitis is being conducted at three sites in The Netherlands, United Kingdom, and Canada. The study strongly supports the feasibility of using Liquid Nitrogen Metered Cryospray (MCS) throughout the central airways to ablate inflamed bronchial epithelium allowing non-inflamed tissue to regenerate after treatment. Phase A of the study enrolled 11 patients and treated a single lobe to assess safety, feasibility and histologic/immunologic response. In Phase B of the study, Phase A patients had their remaining lobes treated and 24 additional patients were enrolled and treated. All patients have received complete treatment of both lungs and they are being periodically followed for safety and physiologic response of their underlying chronic bronchitis to this novel treatment. Primary endpoints include, 1) adverse and serious adverse events and ability to complete all three treatments, and 2) mean change from baseline total SGRQ score. Secondary endpoints include CAT, 6-minute walk test, spirometry testing, and other objective pulmonary function tests and patient reported outcome instruments. Exacerbation rate was measured as an exploratory endpoint. Chronic Bronchitis is the largest disease subset of Chronic Obstructive Pulmonary Disease (COPD). Bronchitis is inflammation of the bronchial airways. A chronic bronchitis diagnosis is defined by cough with productive sputum of three months duration for two consecutive years. In addition to a chronic inflammation, cough and increased production of mucus, chronic bronchitis may or may not present with obstruction/partially blocked airways due to swelling and excess mucus in the bronchi, or shortness of breath (dyspnea). In the United States, there are an estimated 12.7-14.7 million people with COPD, and in 2011 approximately 10 million people sought medical attention for chronic bronchitis, a subset of COPD. Approximately 700,000 people are hospitalized for symptoms/exacerbations of chronic bronchitis every year. In Europe, there are approximately 23 million people with COPD. There are approximately 1.5 million hospitalizations per year for COPD. The RejuvenAir Metered Cryospray System is designed to spray liquid nitrogen at –196°C in a circumferential pattern within the airway. It is anticipated that the rapid freezing of the epithelial layer of the airway walls will destroy the mucus-producing goblet cells while preserving the extracellular matrix, thereby enabling the regrowth of healthy cells. The RejuvenAir System is currently under clinical investigation and is not commercially available. Dale Medical Products, Inc., the company known for its high-quality, patient-friendly medical device securement solutions, is again advancing the field with its new Hold-n-Place General Purpose Securement Products. With three sizes, 950 Small, 951 Medium and 952 Large, the devices are sized to fit a wide variety of applications. They secure lines and tubes in place on the patient’s body using the familiar "hook and loop" technique with a high-quality adhesive to enhance patient comfort. Hold-n-Place General Purpose Securement devices are made with skin-friendly materials, are breathable and are made without natural rubber latex to reduce the risk of allergic reactions and skin irritation. "Keeping lines and tubes safe and secure is vital to both clinicians and patients," says John Brezack, President of Dale. "Hold-n-Place Securement devices do so reliably while keeping patient comfort a top priority." These general purpose devices feature a soft, comfortable, flexible design with no hard plastic parts. No skin prep is required for application, and no alcohol is required for removal. By securing the lines and tubes from the top, bottom and sides, the devices provide superior securement for both vertical and horizontal accidental line pulls. For more information about Dale’s new Hold-n-Place Catheter Securement line, or to request a product sample, please call 800-343-3980. Circassia Pharmaceuticals, Inc., a specialty pharmaceutical company focused on respiratory disease, announced that Aetna, one of the largest health insurance companies in the United States, has updated its Exhaled Breath Tests Clinical Policy to include the measurement of exhaled nitric oxide as “medically necessary” for the evaluation of asthma and for monitoring the response to long-term control therapy. Circassia’s innovative NIOX technology provides objective and accurate fractional exhaled nitric oxide (FeNO) measurement of airway inflammation at the clinical point of care. NIOX is based on the discovery that patients with allergic/eosinophilic airway inflammation, the major underlying characteristic of asthma, generally have higher than normal levels of nitric oxide in their exhaled breath.By measuring the concentration of FeNO, NIOX enables clinicians to evaluate airway inflammation in patients with underlying asthma, aiding diagnosis and helping guide treatment and reduce exacerbations. NIOX is the only FeNO device for clinical use at the point of care available in the US. David Acheson, Senior Vice President, US Commercial, said: “Aetna’s updated policy is excellent news for people with asthma and parents of children who live with asthma. The update includes data from a recent US Agency for Healthcare Research and Quality report that highlights the use of FeNO testing as a valuable part of comprehensive asthma diagnosis and management. We are pleased to see Aetna update its Clinical Policy Bulletin to include FeNO and provide expanded coverage to its members who have this serious condition.” Aetna serves more than 22 million medical members and 1.2 million healthcare professionals. The Clinical Policy Bulletin expresses Aetna's determination of whether certain services or supplies are medically necessary, experimental and investigational, or cosmetic. Aetna reaches these conclusions based upon a review of currently available clinical information, including clinical outcome studies in the peer-reviewed published medical literature, regulatory status of the technology, evidence-based guidelines of public health and health research agencies, evidence-based guidelines and positions of leading national health professional organizations, views of physicians practicing in relevant clinical areas and other relevant factors. CAIRE Inc. announced the launching of a new global campaign, oneCAIRE, designed to recognize the unique individual needs of each business partner, and ensure both the company and their partners succeed. “We want a relationship, and an opportunity to build trust through our expertise in this space and through the support we provide. O2 is what we do, and oneCAIRE is our global vision to promote the CAIRE brand by spotlighting our Quality, Business Solutions, Product Portfolio, and Clinical Efficacy. These strengths bring value to the bottom line for our business partners,” said Chris Southerland, Vice President of Respiratory at Chart BioMedical. CAIRE’s consultative-selling style differentiates the CAIRE brand in the marketplace and identifies those programs that are designed to be customizable to fit large, mid-size and small customers. Programs include the Retail Partner Program, Non-Delivery Program, O2 Discharge Program, and CAIRE-sponsored training are just some of the things that CAIRE offers to their business partners. Behind each of these programs is a clinically-proven portfolio that includes liquid, stationary, and portable oxygen therapy solutions, enabling the provider to cover the entire patient lifecycle. Oxygen delivery technologies such as autoSAT, UltraSense, and now patient safety features have long made CAIRE a go-to for clinicians, providers, and the US Military who utilizes specially-designed oxygen therapy products for battlefield use. Also in the CAIRE provider toolkit is the new telehealth solution, CAIREview powered by SynsorMed. Through wireless connectivity on select CAIRE concentrators, this mobile application allows the medical equipment provider to track the location of their CAIRE concentrators, troubleshoot alerts, periodically monitor oxygen flow rates, and to help avoid costly after-hours visits. CAIREview can provide that critical link between the patient and the provider to encourage prescription compliance, and ultimately grow physician referrals. “Our full depth and breadth of products cover the entire patient lifecycle from initial diagnosis to final high-flow needs. Our portfolio is just one element in how you will experience the CAIRE brand, and our support programs make it a win-win for our preferred business partners from an affordability and operational efficiencies standpoint,” said George Coppola, CAIRE Director of Marketing. CAIRE Inc., manufacturers of oxygen therapy devices including the AirSep, SeQual and HELiOS brands, announced the official debut of the new portable oxygen concentrator, the FreeStyle Comfort, at their global manufacturing headquarters and respiratory Center of Excellence in Georgia. Following a quiet, controlled launch in January with select CAIRE partners, the company is officially putting the spotlight on the new 5-pulse-setting model featuring an innovative comfort curve and weighing only 5 pounds. “We are proud to introduce the latest in a long line of leading oxygen therapy equipment. The FreeStyle Comfort blends together durability, clinical efficacy and comfort for its user. We remain focused on providing our DME/HME providers, clinicians and their patients the products and services they need to provide the best of care,” said Earl Lawson, President of the BioMedical Group at Chart Industries, Inc. One of the major things users will notice on the FreeStyle Comfort is the shell of the device features a comfort curve that is designed to skim the natural curve of the body and make it truly a comfortable device to wear in comparison to other portable oxygen concentrators that come in oval and more square shapes that do not offer a contour. “Today’s launch is the culmination of a lot of hard work and innovation,” said George Coppola, CAIRE Director of Marketing. “Our team has taken the development of this project extremely personal from the technological aspects to ergonomics. We pushed ourselves on all of the details – Is it comfortable? Where is the center of gravity? Can it be worn with or without a bag? We ultimately want the oxygen user to live their life to the fullest and maximize their comfort as they do it.” Operational via wall outlet (AC) power, motor vehicle (DC) power, or by rechargeable battery power, the device is designed for travel including its FAA approval for use on commercial air flights. The FreeStyle Comfort offers an easy-to-use interface with glow-in-the-dark buttons and LCD display screen that shows prescribed flow setting and remaining battery charge. User-replaceable battery packs come in two sizes, 8-cell and 16-cell, and can operate up to 4 and 8 hours, respectively, at pulse setting 2, extending the user’s time away from electrical power. The FreeStyle Comfort delivers up 1050 milliliters of oxygen per minute and is equipped with CAIRE’s UltraSense technology, ensuring a pulse of oxygen is delivered quickly in the early stages of the breath, reducing skipped breaths. And, should a no-breath alarm occur, the device will deliver oxygen therapy rapidly at its current setting at a rate of 20 breaths per minute until this alarm condition has been resolved. The first smart portable oxygen concentrator, the FreeStyle Comfort comes with wireless connectivity capabilities for providers to periodically monitor location and usage through CAIRE’s telehealth solution, CAIREview™ powered by SynsorMed. This helpful mobile application can provide a critical link between the patient and the provider, dedicated to supporting their respiratory health care needs. According to the National Heart, Lung and Blood Institute, approximately 12 million adults in the US are diagnosed with COPD, and there are an additional 12 million adults in the US who are thought to have undiagnosed COPD. Oxygen therapy is often prescribed for the treatment of COPD and to encourage its user to maintain an active lifestyle. Nova Biomedical has announced that the StatStrip Glucose Hospital Meter System has been cleared by the US Food and Drug Administration (FDA) for fingerstick capillary testing with critically ill patients (K181043). StatStrip is the only glucose meter to earn this clearance and can now be used with arterial, venous, or capillary specimens from all patients including critically ill. The use of any other meter with critically ill patients is considered off label by the FDA and high complexity testing by the Centers for Medicare and Medicaid Services under the Clinical Laboratory Improvement Amendments (CLIA). The FDA granted 510(k) clearance to StatStrip for capillary testing with critically ill patients following extensive prospective and retrospective studies performed at the Mayo Clinic in Rochester, MN, and Johns Hopkins Bayview Medical Center in Baltimore, MD. The submission data comprised 16,778 patients ranging from one month to 106 years old, all who were receiving intensive medical intervention/therapy in critical and intensive care settings including burn, cardiac, medical, orthopedic, neurological, and surgical. StatStrip’s capillary results were equivalent to the arterial and venous plasma results measured on a central laboratory IDMS traceable reference method. The FDA clearance indicates that StatStrip is safe, effective, and reliable for use by CLIA-waived operators with critically ill patients. StatStrip’s glucose technology is the primary reason for the clinically acceptable agreement between the capillary and plasma glucose results. StatStrip is the only glucose technology for point-of-care testing (POCT) that measures and corrects for abnormal hematocrit and has no clinically significant interferences, which can lead to the mismanagement of critically ill patients. Capillary specimens are easy to collect and the least invasive glucose test at the point of care. Capillary specimens provide benefits such as rapid and actionable glucose results for immediate glycemic assessment and intervention, saving time for health care providers and improving safety and outcomes for patients. StatStrip’s new capillary clearance eliminates the need for hospitals using StatStrip to define “critically ill.” Hospitals using other glucose meters cannot test critically ill patients with those devices with any specimen type (arterial, capillary, or venous); such use is considered off label. In 2014, StatStrip became the only glucose meter to receive FDA clearance for arterial, venous, neonatal arterial, and neonatal heel stick use in all hospital and all professional healthcare settings including with critically ill patients (K132121), based upon a multicenter, four-year, prospective study conducted at five prestigious university medical centers. In that study, whole blood glucose measurements of 1,698 critically ill patients spanning 257 different medical conditions and over 8,000 medications were found to be equivalent to plasma glucose central laboratory IDMS traceable methods. ResMed, a global leader in sleep apnea treatment and connected health solutions, and Verily, an Alphabet company, has announced their agreement to form a new joint venture. Combining ResMed’s expertise in sleep apnea and Verily’s advanced health data analytics technologies, the U.S.-based joint venture will study the health and financial impacts of undiagnosed and untreated sleep apnea, and develop software solutions that enable healthcare providers to more efficiently identify, diagnose, treat and manage individuals with sleep apnea and other breathing related sleep disorders. Sleep apnea is a sleep breathing disorder that affects an estimated 54 million Americans (calculated based on a 16-country prevalence data study),1 and is associated with heart disease, stroke, type 2 diabetes and other life-threatening conditions. Despite the condition’s high prevalence and increasing public awareness, past research has shown that approximately 80 percent of individuals with obstructive sleep apnea are undiagnosed, 2 untreated and therefore unaware of their own risk and of the benefits that therapy could provide. “The vast majority of people with sleep apnea don’t realize they have it, and therefore don’t seek accessible, effective treatment to mitigate its effects and long-term health risks,” said ResMed Chief Medical Officer Carlos M. Nunez, M.D. “The combined industry expertise, scalable infrastructure, and data analytics capabilities of ResMed and Verily can unlock meaningful ways to identify these individuals and support their journey to improved sleep, health and quality of life.” “Approaching a widespread health problem like sleep apnea through collecting, organizing and activating health data is central to Verily’s mission,” said Jessica Mega, M.D., M.P.H., Chief Medical and Scientific Officer at Verily. "By better identifying at-risk individuals as well as generating real-world evidence regarding the value and effectiveness of treatment, this collaboration has the potential to improve outcomes for millions of people living with sleep apnea, and potentially other related conditions." The joint venture, subject to customary closing conditions, including regulatory approvals, will operate as a separate venture from ResMed and Verily. McArthur Medical Sales Inc. announced that the Flusso By Pass Adapter has been selected as the Silver Winner in the Nonsurgical Hospital Equipment category of the 20th Annual Medical Design Excellence Awards (MDEA) competition. Flusso by pass adapter can be used with passive or active humidity systems to prevent the disconnection of the patient from the mechanical ventilator during a circuit change, HME change or disconnection of patient for transport. Flusso was invented by Frank Fiorenza, a Registered Respiratory Therapist and Product Development Manager at McArthur Medical Sales Inc. The MDEAs are the medical technology industry’s premier design competition committed to searching for the world’s highest caliber medical devices, products, systems available on the market. The awards program celebrates the achievements of the medical device manufacturers, their suppliers, and the many people behind the scenes—engineers, scientists, designers, and clinicians—who are responsible for the cutting-edge products that are saving lives; improving patient healthcare; and transforming medtech—one innovation at a time. “It was an honor to receive this award for our dedication to respiratory care” said Frank Fiorenza, “Flusso is now available to help patients around the world.” FlussoTM was designed to improve the way we manage intubated patients, for more information visit www.flussobypass.com. The 2018 MDEA Juror Panel selected 42 exceptional finalists in nine medical technology product categories. Products were judged based on design and engineering innovation; function and user-related innovation; patient benefits; business benefits; and overall benefit to the healthcare system. Unlike other design competitions that are merely styling contests, the MDEA jury is comprised of a balance of practicing doctors, nurses, and technicians alongside industrial designers, engineers, manufacturers, and human factors experts. Michigan Instruments, a leading innovator in the emergency medical and respiratory care industries, has announced that the assets of Michigan Instruments were recently acquired by individual investor, Chris Blanker. He has assumed the role of President and CEO of Michigan Instruments. Michigan Instruments has long been a leader in automated CPR machines and training and test lung (TTL) devices. Thousands of users are equipped with the precision devices that allow them to do their job with excellence and ease. As pioneers in the mechanical CPR and respiratory training and therapy industries, this change will bolster a new landscape for the business and continue the tradition of innovation. “What attracted me to Michigan Instruments most was their history in the markets they serve, exceptional quality and reliable products that give them a strong brand across the globe, and most importantly, that with some fresh thinking and additional investment the company is poised for growth,” said Chris Blanker, President and CEO of Michigan Instruments. The acquisition is motivated by ambitious goals to expand into additional markets and deeper into existing markets through product enhancements. Reinforced by a history of high standards and cutting-edge technology, Chris Blanker is leading Michigan Instruments into a future of growth. Michigan Instruments serves customers connected to automated or mechanical CPR and the respiratory care and training markets around the world. Located in Grand Rapids, Michigan, the company has been revolutionizing these industries since the 1960s with the original development of its product lines. A new study reveals that shifting patients who are struggling with adherence to positive airway pressure (PAP) therapy to a more advanced bilevel device in the first 90 days of treatment is an effective tool for achieving adherence in well more than half of such cases.This research, sponsored by ResMed, was presented this week at SLEEP, an annual joint meeting of the American Academy of Sleep Medicine and the Sleep Research Society. Patients diagnosed with sleep apnea are usually prescribed a PAP device that provides either continuous (CPAP) or auto-adjusting (APAP) pressure. A bilevel device delivers two distinct pressures, one for inhalation and one for exhalation. Physicians may prescribe bilevel for patients who are pressure intolerant or have continued evidence of apnea at higher pressures. In this “Bilevel Rescue” study, ResMed compared 1,496 non-compliant patients (as defined by U.S. Medicare guidelines) who switched to bilevel therapy and found that compliance was achieved by: 58.5 percent of patients who switched before day 60; 54.2 percent of patients who switched between days 60–90; and 56.8 percent of patients overall. “Finding the right mode of therapy made all the difference to those patients who are struggling with initial adherence to therapy,” said ResMed Chief Medical Officer Carlos M. Nunez, MD. “This strongly suggests that bilevel devices provide a powerful alternative therapy that physicians and HMEs can utilize to help improve non-compliant patients’ treatment experience and outcomes.” Compliance with Positive Airway Pressure Therapy after Switching From CPAP to Bilevel for Non-Compliant OSA Patients: A Big Data Analysis: A PAP device telemonitoring database was queried for all patients initiated on CPAP or APAP (automatic positive airway pressure) therapy between January 1, 2015, and July 31, 2016, who were not Medicare compliant and switched to bilevel PAP therapy within the first 90 days of therapy. Anonymous PAP therapy data on all patients were compared before and after the switch. The objectives of this study were to compare average daily usage, adherence (percentage of days where usage was ≥4 hours), unintentional mask leak, and PAP efficacy (residual events) before and after switching to bilevel PAP therapy, as well as evaluating compliance using Medicare guidelines. An Institutional Review Board (IRB) reviewed this protocol and determined it to be exempt from IRB oversight. Remote patient monitoring and resupply programs have been shown to improve patient adherence to positive airway pressure (PAP) therapy, according to two separate studies presented by ResMed at the ATS 2018 International Conference. In the first study, medXcloud, a ResMed-assembled group of healthcare key opinion leaders, examined de-identified data of more than 2.6 million U.S. PAP users from ResMed’s world-leading remote monitoring network, AirView. Using this big data approach, researchers observed excellent adherence among patients initiating PAP therapy: 75 percent achieved the CMS compliance threshold. This rate compares very favorably with that of non-cloud-connected PAP therapy and other chronic medical therapies – both around 50 percent. Plus, the large sample suggests that the findings are generalizable and likely to reflect real-world clinical care. In a separate study of more than 100,000 well-matched PAP users, ResMed and collaborating researchers found that over a one-year period, those enrolled in a resupply program slept 5.6 hours on PAP each night, compared to 4.5 hours/night for those not enrolled (a 24 percent increase). Resupply patients were also significantly less likely to terminate PAP altogether, with a one-year termination rate probability of 16.1 percent for the resupply group, compared with 33.8 percent for the control group. Real World PAP Adherence: Results from a Big Data Approach in More than Two Million Patients: ResMed examined de-identified AirView database (ResMed Corp., USA) data in >2.6M U.S. sleep-disordered breathing (SDB) patients on PAP therapies (40.9% CPAP, 49.9% APAP, 9.2% Bilevel) to investigate 90-day adherence. To be included, patients were enrolled in the U.S. AirView database by their healthcare provider and used a single therapy mode to treat SDB available on the wirelessly connected AirSense or AirCurve 10 platforms. Data were extracted for adult patients (age >18 years) enrolled during the period 1 October 2014 to 31 October 2017, which contained at least one session with device usage ≥1 hour in the first 90 days. Researchers defined the primary outcome as adherence using CMS criteria. The study was reviewed by an Institutional Review Board (IRB) and deemed exempt from IRB oversight. The second study was Positive Airway Pressure (PAP) Therapy Compliance on a Resupply Program: A Retrospective Analysis. This study de-identified data from a patient billing database (Brightree) and de-identified device data from a telemonitoring database (AirView) were sent to a third-party independent statistician who provided the anonymized analyses and findings. Patients were included if they met the following criteria: initiation of PAP therapy between 1 July 2014 and 17 June 2016; achievement of CMS compliance; therapy management via telemonitoring (AirView; ResMed). Patients who started a resupply program (resupply group) were propensity matched 1:1 with patients who did not start a resupply program. The resupply program replenished a patient’s PAP therapy equipment (mask systems and/or cushions). The primary endpoint was adherence, measured by average device usage hours per day, in the resupply versus control group. Secondary endpoints include other measures of adherence and device usage, and the rate of therapy termination (zero usage in the previous 30 days). The study protocol was reviewed by an Institutional Review Board and deemed exempt from IRB oversight. A new data analysis presented by ResMed at the ATS 2018 International Conference indicates that the prevalence of sleep apnea impacts more than 936 million people worldwide – nearly 10 times greater than previous estimates. The study “Global Prevalence of Obstructive Sleep Apnea (OSA)” was conducted by an international panel of leading researchers seeking to provide a clear scope of the impact of the chronic sleep-disordered breathing condition. The previous estimation of OSA prevalence (100 million) came from a 2007 World Health Organization study that used methods and data available at the time. By analyzing technology improvements in detecting OSA and underreported statistics from other areas of the world, this latest study depicts an impacted population significantly larger than previously identified. “The research and findings are a revelation in sleep apnea research and represent a vastly underreported major public health issue,” said Adam Benjafield, ResMed vice president of Medical Affairs and lead study researcher. “This new study demonstrates a need for expanded awareness around the diagnosis and treatment of OSA worldwide.” Sleep apnea is a chronic disease that causes people to stop breathing while they sleep. To avoid suffocation, the body is jolted by the brain to take a breath, typically without the person ever being aware. This cycle can repeat as many as hundreds of times a night, disrupting normal sleep patterns. Life-threatening conditions associated with OSA range from chronic daytime fatigue to heart disease, stroke, type 2 diabetes, depression, and more. Previous studies have suggested that undiagnosed sleep apnea costs nearly $150 billion in the United States alone as a result of related lost productivity, motor vehicle accidents and workplace accidents – an economic impact that’s likely much greater, given a higher prevalence total. “This study should encourage physicians to talk with their patients about how sleep affects our overall health,” said ResMed Chief Medical Officer Carlos M. Nunez, M.D. “It should also cause more people to ask themselves, ‘Do I or my bed partner have this?’ Those who have sleep apnea don’t often realize they have it and, therefore, don’t realize they can do something to mitigate the resulting chronic fatigue or its more harmful long-term health risks. And sleep apnea isn’t just a disease for older, overweight men, as once thought. It affects people of all ages, all ethnic and racial groups, all states of health, and is not gender specific. In fact, nearly half of newly diagnosed patients are female.” In 2007, The World Health Organization (WHO) estimated more than 100 million people are affected by OSA, although they acknowledged that this figure was not based on robust data. The aim of this new study, “Global Prevalence of Obstructive Sleep Apnea in Adults: Estimation Using Currently Available Data” is to estimate the global adult prevalence of OSA. Researchers identified 16 countries with published prevalence papers based on objective sleep studies and applied findings to areas previously under-quantified. After data review, estimates were extrapolated based on the global adult population aged 30–69 years. Prevalence statistics were applied to population numbers in each country based on the corresponding gender and body mass index (a key risk factor for OSA). OSA prevalence was estimated based on severity of the disease as measured by the apnea–hypopnea index. Convened by ResMed, the experts included representatives from North and South America, Europe, and Asia-Pacific. ResMed announced the results of two clinical analyses conducted for the UK and US, demonstrating the cost effectiveness of combining home oxygen therapy and home non-invasive ventilation (NIV) therapy for patients with persistent hypercapnia following a life-threatening exacerbation of chronic obstructive pulmonary disease (COPD). The ResMed-backed Home Oxygen Therapy – Home Mechanical Ventilation (HOT-HMV) health economic studies, presented today at the ATS 2018International Conference, build on earlier data demonstrating the clinical and cost effectiveness of HOT-HMV therapy (i.e. combining home oxygen therapy with home NIV), compared to treating with oxygen alone. The UK study found that HOT-HMV treatment reduced exacerbation frequency and 28-day hospital readmission. The US analysis found a 58.3 percent reduction in 30-day readmissions for HOT-HMV patients compared to those on home oxygen alone – and that HOT-HMV can actually save patients money while improving their quality of life. Cost-Effectiveness of Home Oxygen Therapy – Home Mechanical Ventilation (HOT-HMV) for the Treatment of Chronic Obstructive Pulmonary Disease (COPD) with Chronic Hypercapnic Respiratory Failure Following an Acute Exacerbation of COPD in the United Kingdom (UK): This economic analysis was based on patient-level medical resource utilization (MRU) from the intention-to-treat analysis of an open-label parallel-group randomized clinical trial. Patients with a hospital admission due to an exacerbation of COPD requiring acute home mechanical ventilation (also known as non-invasive ventilation, or NIV) with persistent hypercapnia 2–4 weeks after resolution of respiratory acidosis were enrolled. Patients in the control arm were permitted to have NIV added to home oxygen therapy if the primary end-point (hospital readmission) was met and if pre-set safety criteria were breached (for example, persistent acidosis and inability to wean from NIV). The MRU analysis included patient-level evaluation of equipment (oxygen concentrator and NIV device, including maintenance and support), patient-reported medication, physician office visits, and hospital readmissions due to exacerbations. Trial data was used to develop an economic model from the U.K. National Health Service perspective. Costs were calculated by multiplying observed MRU by standard unit costs (2017£) and summed at the patient level. Quality-adjusted life years (QALYs) were measured based on patient health utilities calculated with UK coefficients and EuroQOL-5D data from the trial. One-way sensitivity analyses and a bootstrap analysis with 1,000 iterations were conducted. The US analysis was based on the UK study. Trial data was used to develop an economic model from the US payer perspective. Costs were calculated by multiplying observed MRU by standard unit costs (2017$) and summed at the patient level. QALYs were measured based on patient health utilities calculated with U.S. coefficients and EuroQOL-5D data from the trial. One-way sensitivity analyses and a bootstrap analysis with 1,000 iterations were conducted. Base-case incremental cost/QALYs gained was negative $50,856. ResMed has introduced the QuietAir diffuser vent elbow for its latest continuous positive airway pressure (CPAP) full face masks: AirFit F20 with silicone cushion and AirTouch F20 with memory foam cushion. QuietAir reduces noise by 89 percent and produces a 70 percent gentler exhaled airflow, compared to ResMed’s previous design, allowing for a quiet, uninterrupted night of sleep and mitigating two barriers to therapy compliance: noise and bed partner comfort. “With this technology, our full face masks’ noise levels are well below ambient noise in the bedroom,” said ResMed CEO Mick Farrell. “We are providing patients and their bed partners with the peace and quiet they deserve for better sleep.”QuietAir is the latest innovation to ResMed’s line of AirFit and AirTouch products: AirTouch F20 with UltraSoft memory foam, creating a personalized fit with a uniquely soft and breathable seal, and fitting 98 percent of patients; and AirFit F20 and AirFit N20 nasal mask, to enhance facial comfort and fit, fitting 97 and 99 percent of patients, respectively, regardless of facial structure, gender or age.All three masks complement ResMed’s suite of cloud-connected PAP devices: Air10 bedside machines and AirMini, the world’s smallest PAP device. Remote and self-monitoring, enabled by cloud connectivity, is proven to help improve patients adherence and clinicians’ business efficiencies.QuietAir diffuser vents for AirFit F20 and AirTouch F20 masks are now available in the Americas, EMEA and Asia-Pacific. For more information, contact your ResMed sales representative. Alarms are being raised about the dangers of tracheostomies. A quick search on Google describes it as "Tracheotomy, or tracheostomy, is a surgical procedure which consists of making an incision on the anterior aspect of the neck and opening a direct airway through an incision in the trachea." Notrach, an organization that specializes in helping patients seek alternatives to this potentially dangerous procedure, believes that the risks for tracheostomies are too great. The patient may need help breathing, be it for the long, or short term. "Have a tracheostomy." How simple it sounds. But it is potentially seriously harmful.Patients are consenting to this procedure in their thousands across North America. However, the procedure may not be explained to them in the detail it should be. Possibly, neither are potential alternative options which could mean many of these patients wouldn't have to have one. A small sample of the complications includes death, infections, bleeding, permanent damage to vocal cords, damage to the esophagus, air trapping (causing a life-threatening condition) and the list goes on. Yet thousands upon thousands of patients are consenting to this sometimes life-saving procedure. The key word here is sometimes.In so many cases, it could have, or should have never been performed in the first place. The consent forms for these procedures are lengthy and varied. Why, one may ask, are these tracheostomies performed so often then? Sometimes the procedure is the only option the patient actually has. Often, however, that simply isn't the case. Doctors today are far too ready and eager to perform these procedures. It has simply become routine. For some medical establishments, the fees can be upwards of $250,000. It makes money. The past decade has seen a substantial increase in tracheostomies. In that same decade, so have the payments for compensation relating to these procedures. Most payouts are in the millions. Rarely will the doctors who convince their patients that this is the only option for them explain that other options might work for them. Non-invasive ventilation has come a long way in the last decade. There are two types currently available, Mask based ventilation, and Biphasic Cuirass Ventilation. It could well be that one or the other has failed, and the physician will then jump straight to a tracheostomy. The fact is, that very often, where one method has failed, the other could well work. Jumping straight to a tracheostomy without at least trying both options is like amputating one's hand because it got infected. It's like saying, one antibiotic was tried and it didn't work, so we won't bother to try another. Amputate! By jumping to a tracheostomy, without trying everything possible to avoid it – at the very least both forms of ventilation, (mask based, and Biphasic Cuirass Ventilation) the door can be left wide open to a claim of a particularly costly case of medical negligence. Gary Mefford of Hayek Medical, a device manufacturer that specializes in Biphasic Cuirass Ventilation, commented, "We see this all too often. Patients are being pushed into it [a tracheostomy]. They simply are not being given the chance to avoid it. We have helped thousands upon thousands of patients worldwide. It's proven. Case after case after case, it's just unbelievable." The aftercare costs often run into millions. Infections which are incredibly common costs huge amounts of money to treat. Health insurance companies have started to question whether they should pay for these costs if the procedure could have been avoided in the first place. Perhaps when the payouts for negligence outweigh the amount earned by these procedures, the rules about when these procedures are appropriate will change. Vyaire Medical, a global leader in respiratory care, announced that it has acquired Acutronic Medical Systems and, separately, entered into a definitive agreement to acquire imtmedical. Acutronic, a Switzerland and Germany-based leader in the design and manufacture of neonatal ventilation equipment, is globally recognized for its innovative ventilation solutions designed for both neonatal and pediatric intensive care units. imtmedical, based in Switzerland, is a developer, manufacturer and distributor of acute care mechanical ventilation products utilized in acute care centers, long-term care facilities, home healthcare as well as the emergency services and transport markets. The imtmedical transaction, which is subject to customary regulatory and other approvals, is expected to close in the second quarter. The Acutronic and imtmedical acquisitions immediately enhance Vyaire Medical's product offering, complementing investments made by the Company through internal development programs. In combination, these investments have allowed Vyaire Medical to completely renew its ventilation portfolio within the past 18 months. Dave Mowry, Vyaire Medical's President and Chief Executive Officer, said, "The transactions we are announcing today, along with our own internal development efforts, underscore our commitment to positioning Vyaire Medical as a global respiratory care leader. Our acquisition of Acutronic and imtmedical immediately enhance our product portfolio, expand intellectual capital and broaden our technological capabilities; all of which will accelerate Vyaire Medical's growth. We could not be more excited about taking these amazing products, in combination with our own, to market to advance our mission of improving patient outcomes and providing increased value to our customers." Vyaire Medical also announced today that funds advised by Apax Partners (the "Apax Funds") have completed their purchase of Becton, Dickinson & Company's remaining stake in the Company. Vyaire Medical is now an independent, standalone company owned by the Apax Funds. International Biophysics Corporation, a global medical device manufacturer based in Austin, Texas, announced two new patents have been issued from the United States Patent and Trademark Office (USPTO) for the company's AffloVest High Frequency Chest Wall Oscillation (HFCWO) vest. The patents, one for clearing a biological airway including a self-contained portable positionable oscillating motor array (9,895,287), and the second for (9,907,725) were issued February 20th and March 6th, 2018, respectively. International Biophysics founder and Chief Executive Officer, H. David Shockley said, "The issue of these two patents reaffirms our leadership in the introduction of innovative, effective treatment therapies. We pioneered mechanical oscillation airway clearance therapy for patients with severe respiratory diseases such as bronchiectasis, cystic fibrosis, neuromuscular diseases, and other respiratory conditions." The AffloVest is battery operated and uses Direct Dynamic Oscillation technology that closely mimics hand Chest Physical Therapy (CPT), which is considered the gold standard in mobilizing and clearing lung secretions. The technology allows for full freedom of mobility during patient treatment. The AffloVest features eight built-in oscillating modules that are anatomically positioned to target the lobes of the lung. Added Mr. Shockley, "We believe that our mechanical oscillation technology offers patients a more modern and patient friendly airway clearance therapy than the older style air bladder technology. We anticipate several more patents on our technology in the coming months." A Nonin wearable device is helping one athlete keep moving despite chronic obstructive pulmonary disease (COPD). Imagine breathing through a straw, and then running a marathon with this lung capacity; it doesn’t sound fun, let alone possible, does it? Russell Winwood was diagnosed with COPD in 2011 and shortly after completed his first full ironman race in 2012. Based in Australia, Russell is an avid cyclist, marathon runner and one inspiring individual. He lives by the four pillars of COPD; knowledge, medication, nutrition and exercise, and will be traveling to the United States to race in the Boston Marathon. Russell will utilize the WristOx 3150 device to track his oxygen saturation levels and heart rate, as well as a Garmin to track his strides and distance. Russell trains four times a week, mostly running but incorporates stretching and strengthening routines as well. He is a leader in advocating for COPD patients to live a healthy happy life, and he is proof that it is possible and beneficial to stay active with COPD. The Boston Marathon is third on Russell’s bucket list for racing. He has completed one in New York and London, and plans to race in Tokyo, Berlin and Chicago as well. He also has aspirations for the Race Across America in 2020. This extensive cycling race starts in Santa Monica and spans 3,000 miles to end in Annapolis, Maryland. Along this route, the cyclists climb 175,000 feet as they cross twelve states. Due to the high altitudes, an oxygen backpack will be necessary for Russell during this race which is different from his usual routine. He is typically able to race without the help of oxygen at moderate altitudes. Russell is a major inspiration to many individuals, with and without COPD. He mentored a woman in London helping her train for a marathon, and has motivated many to be active and enjoy life to the fullest. Russell stressed the importance of a durable, wearable device to monitor his oxygen levels while racing. Learn more about Nonin oximetry and the WristOx 3150 on the company’s website. Company Hans Rudolph announced news features for its SmartLab Instrumentation Systemwith Insight software, a flexible data-acquisition system for use in making measurements of respiratory signals. It is a modular system that can be configured for a variety of measurements. The base module consists of a main system circuit board that can accept up to four sensor modules. It also has an input for a Nonin xPod oximeter and a Masimo IRMA CO2 concentration sensor. An optional internal oxygen concentration sensor is also available. Digital I/O ports with eight outputs and four inputs can be connected to a valve controller or other device that can accept TTL level digital signals. An optional analog output module is available for retransmitting up to 4 measured or calculated values. In addition to these standard applications, they have recently launched a new ECG Sensors & Module, Lung Compliance and Air Way Resistance Processor upgrade and MRI Compatible Pulse Oximetry & Respiratory Band Sensors and Modules. New features include ECG Modules for both 110V & 230V applications with three leads and upgradable sensors, lung Compliance & Airway Resistance Processor upgrade, and MRI Compatible Pulse Oximetry & Respiratory Band Sensors and Modules.The base unit holds up to 4 sensor modules. Differential pressure sensor modules with full scale ranges from 2 cmH2O to 350 cmH2O. Absolute pressure sensor modules for barometric pressure or altitude compensation. Up to 5 calibration tables for each sensor module. Two RS-232 serial ports for connection to an oximeter and CO2 sensor. Optional internal oxygen concentration sensor. Internal or external temperature and humidity sensor. Works with all the Hans Rudolph pneumotachs. Calculates tidal volume and several respiratory parameters from the flow and airway pressure signals. Data transmitted over USB or wireless connection. Up to 8 data channels at up to 200 Hz rate. imtmedical has launched its latest gas flow and pressure analyser. CITREX H3 is the latest gas flow and pressure gauge from imtmedical. The state-of-the-art device was developed as an easy to operate entry-level model with only the key features for verifying medical devices – at an unbeatable price. CITREX H3 measures gas flow and pressure in the bidirectional flow channel. The accuracy of the flow measurements is ±2 %. CITREX H3’s wide measuring range of ± 300 l/min allows testing of various medical devices such as ICU and home care ventilators. With the CITREX H3, operators can measure the 16 most important ventilation parameters including: flow, pressure, volume, PEEP, and gas temperature. 5 different gas types and the 9 most important gas standards are available for measurements medical technicians and ventilator manufacturers commonly use. Settings on the CITREX H3 can be changed easily via a simple to use configuration tool. By connecting the device to a computer, operators can customize the 1.7" screen to display just the values and units they need for their measurements. The device is available as a single unit and can be expanded with various accessories and options. For the measurement of oxygen, an optional O2 sensor can be purchased, which increases the range of application of the CITREX H3. In addition, imtmedical offers a variety of adapters, test lungs and a carrying bag - just the accessories that users need in their professional lives. As usual for imtmedical products, the features of the CITREX H3 gas flow and pressure analyser will be improved throughout its entire lifecycle. This latest measuring device already has CE and CSA certification. CAIRE Inc. announced its approval of accreditation status by Accreditation Commission for Health Care (ACHC) for the services of effectively and efficiently delivering quality healthcare oxygen therapy products and services to consumers. “This accreditation marks a major milestone in the life of our brand, and our continued commitment to excellence and quality in service to our customers suffering from Chronic Obstructive Pulmonary Disease, and other serious respiratory diseases,” said Dan Van Hise, Vice President of Marketing for Chart’s BioMedical Group. Achieving accreditation is a process where healthcare organizations demonstrate compliance with national standards. Accreditation by ACHC reflects an organization’s dedication and commitment to meeting standards that facilitate a higher level of performance and patient care. “Members of our regulatory team began months ago identifying and establishing the required processes to meet the ACHC requirements. This achievement is the result of dedicated efforts and collaboration across several departments within the organization. It is a worthy accomplishment that we should be proud of, but most importantly the accreditation ensures we have procedures and processes in place to consistently deliver high quality products and services to our customers,” said Neal Maloy, Chart BioMedical Director of Quality and Regulatory. ACHC is a not-for-profit organization that has stood as a symbol of quality and excellence since 1986. ACHC is ISO 9001:2015 certified and has CMS Deeming Authority for Home Health, Hospice and DMEPOS. CAIRE is a globally-recognized brand in oxygen therapy and manufacturer of portable oxygen concentrators, stationary oxygen concentrators, and liquid oxygen therapy systems. Well-known products include the wearable Focus and FreeStyle series, the portable Eclipse 5, and stationary oxygen concentrators including the Companion 5 and Intensity. CAIRE’s respiratory Center of Excellence and manufacturing headquarters north of Atlanta is home to its customer and technical service teams, engineering, regulatory, and marketing teams. “CAIRE is always looking for ways to differentiate ourselves in the marketplace and this accreditation demonstrates our commitment to quality and the continuous improvement of our customer experience through industry standard best practices,” said George Coppola, CAIRE Director of Marketing. For more information, visit www.cairemedical.com, or contact caire.request@chartindustries.com or 1-800-482-2473. Passy-Muir, Inc. has announced a new addition to its line of anatomical teaching models. Tracheostomy Pediatric Airway Model (P.A.M.) is designed for use by healthcare practitioners to educate students, families, patients, and clinicians about tracheostomy in the pediatric airway and the proper application of the Passy Muir Valve. Conveniently sized, Tracheostomy P.A.M. is designed to illustrate the approximate anatomy of a toddler (ages 2-4). Consistent with the anatomy of a toddler, P.A.M.’s epiglottis and vocal folds are represented in a higher position than in adults, the vocal folds are displayed in an anterior slanted position, and P.A.M.’s soft palate and tongue are larger in relation to the total size of the oral cavity. P.A.M. is packaged with helpful educational accessories to enable clinicians to provide a wide variety of education related to tracheostomy. The kit includes three demonstration Passy Muir Valves, a cuffed tracheostomy tube, and a syringe for cuff deflation. The kit allows for education and practice related to use of a speaking valve. A nasogastric tube is provided for the display of nasogastric intubation. A customized Tracheostomy P.A.M. product package is provided for easy storage and transport of the entire P.A.M. kit. Passy Muir has prepared helpful instructional videos for use of the Tracheostomy P.A.M. Pediatric Airway Model and the clinical staff at Passy Muir is available to answer any questions regarding assembly or to provide suggestions on how to use the Tracheostomy P.A.M. Pediatric Airway Model for teaching purposes. For more information, or to purchase, visit www.passymuir.com. Passy Muir has announced a new addition to its family of pediatric educational products. Featuring a pediatric tube and Passy Muir Valve for demonstration and education, the new Toby Tracheapuppet plush therapy hand puppet provides therapists and caregivers with a lighthearted method to introduce children to tracheostomy and the Passy Muir Valve. Perfect for interaction with young patients, the Toby Tracheapuppet facilitates vocalization and enhances therapeutic activities. For more information, or to purchase, visit www.passymuir.com. Getinge, a leading global provider of innovative medical technology, announced that the US Food and Drug Administration (FDA) has granted 510(k) clearance to its PulsioFlex Monitoring System and PiCCO Module. The PulsioFlex Monitoring System, from Getinge’s Maquet brand, is a diagnostic aid used to measure and monitor blood pressure and cardiopulmonary, circulatory and organ function variables in patients in intensive care units (ICUs). The accompanying PiCCO Module is used for hemodynamic management of critically ill patients. It provides cardiac output measurement continuously based on pulse contour analysis and intermittently through transpulmonary thermodilution technique. “We plan to launch the PulsioFlex Monitoring System and PiCCO Module in the United States later this month. This will expand the portfolio of ICU solutions that we offer medical centers through our Advanced Patient Monitoring Business Area,” said Greg Master, President, Acute Care Therapies USA, at Getinge. “With FDA clearance of this advanced bedside monitoring system, we now have our own advanced hemodynamic patient monitoring system to offer hospitals to help their staff make more informed clinical decisions and provide high-quality care for critically ill patients. Until now, the PiCCO Module was available only for use with patient monitoring systems from GE Healthcare and Philips Medical Systems.” The PulsioFlex Monitoring System is a flexible platform for advanced hemodynamic monitoring that can be adapted to each patient’s individual needs at any time. It also can be configured to support HIPAA compliance. The PulsioFlex Monitoring System has a modular setup that easily allows for future technology integration. Additionally, with the PulsioFlex monitor, the number of PiCCO parameters has been expanded by four – from nine to 13. Two of the additional parameters allow for expanded assessment of pulmonary edema beyond the extravascular lung water index (ELWI) parameter, including 1) pulmonary Vascular Permeability Index (PVPI) – Distinguishes between cardiogenic and permeability caused pulmonary edema, and 2) intrathoracic Blood Volume (ITBV) – Shown to be consistently 25 percent higher than Global End-Diastolic Volume in a clinical study using double-indicator dilution technology to measure ITBV and extravascular lung water (EVLW). Two of the additional PiCCO parameters expand capabilities for contractility monitoring: Global Ejection Fraction (GEF) – Offers a complete picture of the overall cardiac contractility; and cardiac Power Output/Cardiac Power Index (CPO/CPI) – Shown in clinical studies to be the strongest independent predictor of hospital mortality in patients with cardiogenic shock. PulsioFlex includes OrganView, a novel graphical overview that uses a traffic light system to identify out-of-range values, and three different calculated volume test methods – Fluid Challenge, Passive Leg Raising and End Expiratory Occlusion – to help determine the patient’s fluid responsiveness. The PulsioFlex monitoring system allows real-time dynamic monitoring with a dedicated PiCCO module, which is the only system in the U.S. today that continuously measures cardiac and pulmonary values such as CPI, ELWI and GEDI for the critically ill patient. The Respiratory Compromise Institute (RCI) has appointed Brent Dunworth, DNP, MBA, APRN, CRNA, to its Clinical Advisory Committee. Dr Dunworth is a member of the American Association of Nurse Anesthetists (AANA), the professional association for more than 52,000 Certified Registered Nurse Anesthetists, and serves as Director of Advanced Practice and Division Chief of Nurse Anesthesia in the Department of Anesthesiology at Vanderbilt University Medical Center (VUMC) in Nashville, Tennessee. He will join a group of 13 distinguished clinicians who make up the committee, which is dedicated to addressing respiratory compromise across the care continuum via public education, research and advocacy. Respiratory compromise is a deterioration of respiratory function that poses a high risk of life-threatening respiratory failure. Respiratory failure is the second leading avoidable patient safety issue. It is one of the top five conditions leading to increasing hospital costs and the third most rapidly increasing hospital inpatient cost in the United States. General care floor patients with respiratory compromise are 29 times more likely to die. Dr Dunworth is an educator at the Vanderbilt University School of Nursing and lectures nationally on a variety of nurse anesthesia topics. He has received numerous awards, including: the Agatha Hodgins Award, presented to outstanding nurse anesthesia students; the Pennsylvania Association of Nurse Anesthetists' Didactic Instructor of the Year Award; and the University of Pittsburgh School of Nursing's Outstanding Young Alumnus Award. He has given more than 40 presentations on anesthesia-related subjects, such as difficult airway management, anesthesia ventilation, patient safety advocacy in anesthesiology, and problems associated with sleep-disordered breathing. His peer-reviewed publications and abstracts have appeared in AACN Clinical Issues: Advanced Practice in Acute and Critical Care, American Journal of Nursing, AANA Journal and Anesthesia & Analgesia. "As the Respiratory Compromise Institute continues to grow, we are pleased to have someone on our clinical advisory committee of Dr Dunworth's caliber," said, Phillip Porte, Executive Director of RCI. At VUMC, Dr Dunworth provides administrative leadership to advanced practice perioperative professionals, including certified registered nurse anesthetists (CRNAs) and certified registered nurse practitioners (CRNPs). His oversight responsibilities include preoperative evaluations, procedural assessments and postoperative recovery monitoring in order to provide safe and efficient patient care delivery. He is responsible for 160 CRNAs, 25 CRNPs and 30 anesthesia technologists. Prior to VUMC, he was Senior Director for Nurse Anesthesia at the University of Pittsburgh Medical Center. Respiratory compromise, which includes respiratory distress, insufficiency, failure and arrest, can occur across numerous clinical scenarios. Respiratory compromise may appear post-operatively or may be drug-induced by the delivery of a sedative, opioid, or analgesic to patients who were not properly assessed or properly monitored. According to the US Department of Health & Human Services, Agency for Healthcare Research and Quality, respiratory compromise is the third most rapidly increasing hospital inpatient cost in the United States, with $7.8 billion spent on respiratory compromise in U.S. hospitals in 2007. Respiratory compromise increases patient mortality rates by over 30 percent and hospital and ICU stays by almost 50 percent. RCI defines respiratory compromise as a state in which there is a high likelihood of decompensation into respiratory insufficiency, respiratory failure or death that could be prevented or mitigated through specific interventions (enhanced monitoring and/or therapies). The Respiratory Compromise Institute brings together a broad-based coalition of organizations, companies, and individuals dedicated to reducing—and eventually eliminating—preventable adverse events and deaths due to respiratory compromise. Researchers presented data from two related studies at the 25th United European Gastroenterology Week. The studies evaluated procedural sedation practices, incidence of adverse events (AEs) and costs of sedation-related AEs in France, Germany, Italy, the UK and the US based on surveys of providers (eg, nurses, physicians and anaesthesiologists) and payers. In one study, “Clinical Practice, Monitoring, and Patient Safety During Procedural Sedation in Five Countries,” researchers concluded that clinical sedation practices and AE incidence were relatively consistent across countries, yet AE incidence was influenced by monitoring modality (eg, capnography, pulse oximetry, etc.). For example, 7 of 11 German respondents who did not use capnography as a standard of care reported severe desaturation events, compared with 0 of 9 who routinely used it. Study authors also concluded that pulse oximetry monitoring was almost universally used during sedation, while capnography use was more variable. Nonetheless, sedation monitoring technology that provided an actionable early warning of patient compromise (eg, respiratory compromise) remained a priority for clinicians, regardless of technology employed. In another study, “Interventions and Costs Associated with SIVA-defined Adverse Events During Procedural Sedation in Five Countries,” researchers found that costs of sedation-related AEs can be substantial, regardless of country of origin, especially when accounting for indirect AE expenses (ie, fully-loaded costs), such as hospital administration fees, resolution time, inpatient stays, procedural delays and cancellations. For example, the direct costs of severe desaturation, an AE which can lead to respiratory compromise, by country were: 79 EUR (France), 92 EUR (Germany), 59 EUR (Italy), 93 GBP (UK) and 529 USD (USA). The fully-loaded costs were significantly higher: 1,994 EUR (France), 1,268 EUR (Germany), 201 EUR (Italy), 1,258 GBP (UK) and 1,715 USD (US). Based on these and other findings, researchers concluded that relatively minor events can have a substantial cost impact through disruption of patient flow and reduced provider efficiency that may add to the total burden of sedation-related AEs. Researchers from Leiden University Medical Center presented data at ANESTHESIOLOGY® 2017 that evaluated the clinical utility of the Integrated Pulmonary Index™ (IPI) in detecting respiratory events. The IPI combines end-tidal carbon dioxide, respiratory rate, SpO2 , and pulse rate into an easy-to- use 1-10 index using an artificial intelligence algorithm, based on measurements from real-time capnography and pulse oximetry readings. The study involved 40 patients with an average age of 57, and BMI of 26, scheduled for elective surgery under general anesthesia. Type of surgery included general, nephrectomy, autologous mamma reconstruction, vascular and other. Following their respective procedures, most of the patients were provided pain relief with morphine, methadone, or esketamine. They were monitored using the IPI in a postoperative setting for an average of 17 hours. Results from the study showed the IPI was easy to use, and almost all patients displayed at least one critical IPI event, likely requiring intervention. According to the researchers, data obtained in this study warrant subsequent research into the correlation with patient- or opioid-related parameters. Interventional studies are planned to assess the performance of the IPI multiparametric index as an early warning sign of respiratory compromise. To learn more about the study’s findings, click here. To learn more about the IPI, click here. Aerogen Pharma, a developer of innovative inhaled treatments for patients in critical care, and Lyomark Pharma, an established provider of high-quality medicines for the hospital market, are joining forces to develop a clinically superior treatment for Respiratory Distress Syndrome (RDS), a life-threatening condition of preterm infants associated with long-term lung health issues in survivors. AP-002 is a nasally inhaled surfactant based on a combination of Lyomark's Alveofact (bovine lung surfactant) and Aerogen's next generation "PDAP" delivery technology. The partners expect AP-002 to set a new standard in the treatment of RDS, since it will enable surfactant administration via the nose and complement current first line therapy with nasal continuous positive airway pressure ventilation (nCPAP). AP-002 is anticipated to reduce the need for sedation, invasive intubation and mechanical ventilation, all features of current surfactant treatment methods associated with adverse side effects and the potential to exacerbate chronic lung disease in preterm infants. The PDAP delivery system is a technical breakthrough based on patented enhancements to Aerogen's market-leading aerosol generator technology (www.aerogen.com), which effectively nebulizes surfactant and enables this potentially major advance in therapy. Alveofact is sold as an RDS treatment in 27 countries, with a proven record of safety and efficacy when administered by conventional instillation techniques and class-leading, three-year room temperature stability. 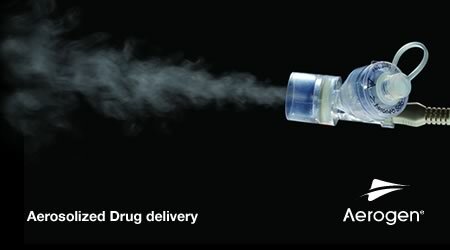 Aerogen will adapt Alveofact for inhaled delivery, and the partners will work together to commercialise and distribute AP-002 around the world. AP-002 advanced to clinical trials. In a further development, Aerogen Pharma announced the initiation of a Phase 2 clinical study at three major maternity hospitals in Australia. This trial will evaluate the safety and effectiveness of AP-002 relative to standard invasive surfactant administration in preterm infants with symptoms of RDS. Details of this study are available at www.anzctr.org.au under Trial ID ACTRN12617001458325, and results are expected mid-2018. Aerogen Pharma is an Irish specialty pharmaceutical company developing inhaled products for quick, efficient, consistent and user-friendly treatment of critically ill patients in hospital acute care. Aerogen Pharma improves existing drugs by targeting them to the lung using a proprietary, high performance aerosol delivery system based on the market-leading nebuliser technology created by the Aerogen group. For more information, visit www.aerogen.com/aerogen-pharma/. Lyomark is a German pharmaceutical company specialised in niche proprietary and generic products and orphan drugs for rare diseases, presented as sterile injectable, lyophilized formulations in pre-filled syringes, vials and ampoules. Lyomark's Alveofact® lung surfactant has been in clinical use for twenty years as a treatment for neonatal RDS, with established safety and efficacy. For more information, visit www.lyomark.com. Medtronic plc has announced the US launch of the Vital Sync monitoring and clinical decision support (CDS) solution. The system is designed to simplify time-intensive patient care processes and help clinicians prevent or mitigate harmful and costly adverse events. The Vital Sync CDS solution combines remote monitoring software with wireless monitoring devices and a series of customizable CDS mobile applications to improve clinical protocol implementation and management of patients on medical-surgical floors and in the ICU. The Vital Sync CDS solution gathers patient physiological data directly from a variety of wireless and bedside devices, manufactured by Medtronic and third-parties. Analytics are continuously and automatically calculated, with customized alerts and notifications to help clinicians know as soon as possible if a patient is deteriorating. Respiratory therapy and nursing teams can remotely access patient data to make insightful assessments for more effective and earlier interventions. Patient data is accessed through the Vital Sync virtual patient monitoring platform. The solution also offers customizable tools, such as the Vital Sync Physiological Patch, a lightweight wireless device applied to the chest area that continuously collects and transmits physiological data, including heart rate, respiration rate, single-lead ECG and body position, to monitor vitals, facilitate pressure ulcer prevention protocols and help identify patient deterioration. The Vital Sync Weaning Readiness and SBT Monitoring App allows clinicians to continuously monitor and receive alerts indicating when a mechanically ventilated patient is ready to begin a weaning trial based on established clinical protocols. It also remotely tracks a patient’s breathing pattern and other vitals through a spontaneous breathing trial so that clinicians can intervene if a patient falls outside predefined thresholds. The Vital Sync Early Warning Score App applies automated calculations based on published evidence for an early warning score to help give clinicians an earlier indication of patient deterioration. The app can detect subtle changes in patient deterioration using multiple parameters—enabling clinical intervention before a single parameter device would recognize a problem. Many common hospital-based patient safety issues are preventable. According to a recent report by the ECRI Institute, the top three patient safety concerns for healthcare organizations in 2017 are: insufficient management of electronic health record data, unrecognized patient deterioration and ineffective use of clinical decision support tools. The Vital Sync CDS solution was designed based on clinician input and clinical evidence to help hospitals avoid these and other patient safety challenges. A landmark real-world study involving more than 18,000 asthma patients has demonstrated superior asthma control with the AEROCHAMBER PLUS FLOW-VU antistatic Valved Holding Chamber (VHC) compared with other chamber devices According to the study, published in Pulmonary Therapy, use of the AEROCHAMBER PLUS FLOW-VU antistatic chamber – from Monaghan Medical Corporation - resulted in delayed time to first exacerbation, fewer asthma-related emergency department visits, and lower exacerbation-related costs than control chambers. Asthma is a common respiratory condition that affects an estimated 24.6 million people in the United States. Almost half of them, including nearly 3 million children, experience one or more asthma attack in a year. As opposed to systemic medications, inhalation is the recommended way to administer asthma medications because it directly targets the drug to the lungs while reducing potential side effects. Inhaled corticosteroids and bronchodilators administered by MDIs are the mainstay of long-term asthma treatment, the goals of which are to improve symptoms and prevent the occurrence of exacerbations. Poor inhaler operation by users is common, resulting in less of the delivered drug reaching the lungs. Instead, much of it is deposited on the back of the throat (oropharyngeal deposition) and then swallowed. Research shows that between 28% and 68% of patients do not use inhalers well enough to benefit from prescribed medication. In addition, 25% of costs associated with inhalers is wasted due to poor inhaler technique. Chambers are designed to reduce oropharyngeal deposition by changing the particle size distribution of the inhaled aerosol, and by holding the aerosol in the chamber until the patient is ready to inhale, which reduces the need for good coordination between inhalation and inhaler actuation. Effectiveness of these devices can be adversely affected by the design, including the chamber electrostatic charge, a commonly reported cause of inconsistent medication delivery. Global respiratory guidelines recommend the use of chambers to improve MDI drug delivery. American Thoracic Society and American Association for Respiratory Care Clinical Practice Guidelines state that the addition of a chamber is recommended and helpful. Research also indicates that patients who use a chamber with an MDI have better asthma control than those using an MDI alone. In this new study, Dr Chakkarin Burudpakdee (QuintilesIMS, Fairfax, VA, USA) and colleagues compared the effects of the antistatic AEROCHAMBER PLUS FLOW-VU and control chambers on treatment outcomes, resource use, and healthcare costs in a real-world asthma population. More than 18,000 patients were included from an adjudicated claims database containing medical and pharmacy claims for more than 150 million U.S. health plan members. The analysis showed that among patients with at least 30 days of follow-up, those using the AEROCHAMBER device experienced a delay in the time to first exacerbation and had fewer asthma-related emergency room visits. In addition, exacerbation-related costs were lower when compared to those using the control (non-antistatic) chambers. A trend toward lower exacerbation rates per patient for the AEROCHAMBER PLUS FLOW-VU was sustained throughout the 12 months of the study. California company Vortran Medical Technology 1, Inc. is highlighting an array of devices for use by RT professionals. The GO2VENT is a unique single-patient-use resuscitator and has received CE Certification to market in European Countries, with added features like copper springs, and new FiO2 controls. It has been tested and is certified as MR Conditional per Dr Frank Shellock. Vortran is also the manufacturer of the PercussiveNEB 2.0, a single patient, multiple use, vibratory therapy device with a high-output nebulizer for patients suffering from restricted airway and secretion clearance issues. The PercussiveNEB 2.0 operates efficiently at flows of 25-30 LPM. The company also offers its Manometer, a single patient use, airway pressure indicating device for the purpose of monitoring a patient’s ventilation conditions with devices such as the GO2VENT or other similar resuscitator/ventilators. The Manometer is made with new copper beryllium springs, making it MRI Conditional and does not cause artifacts in the picture. There are two versions of this device — one with a tee connector and the other with a vertical connector. The Aerobika Oscillating Positive Expiratory Pressure (OPEP) device (Monaghan Medical Corporation) is a cost-effective treatment option in the management of COPD exacerbations, according to a study published October 20 in the International Journal of COPD. This study, which used data from the published literature and national fee schedules to model the cost-effectiveness of the Aerobika OPEP device, shows that it provides both clinical benefit and direct medical cost savings in a post-exacerbation care COPD population. COPD is a major (and growing) source of morbidity, mortality and healthcare utilization, with hospitalization for acute exacerbations being the biggest cost driver. Once a patient experiences an exacerbation, the risk of further exacerbation is increased two- to four-fold, and many patients experience two or three exacerbations every year. As many as one in five patients discharged from hospital following an exacerbation are re-admitted within 30 days. The economic burden on the healthcare system associated with COPD is significant; in the US alone, the cost of COPD in 2010 was estimated to be US $50 billion; $30 billion in direct healthcare expenditure, with the remainder accounted for by indirect costs such as productivity losses and costs to families. Approximately half of the direct costs could be accounted for by hospital care for COPD exacerbations, which supports the GOLD guideline treatment goals of minimizing the negative impact of exacerbations and preventing recurrences. Healthcare systems in many countries acknowledge the problem, and policies are now being put in place to try to address it; the US Medicare Hospital Readmission Reduction Program penalizes hospitals for excess 30-day, all-cause readmissions after a hospitalization for an acute exacerbation of COPD. The Aerobika OPEP device is a drug-free, handheld mechanical oscillating positive expiratory pressure (OPEP) device that has been designed to address the structural and functional challenges in the airways of patients with COPD. When the patient exhales through the device, it helps to expand the airways, loosen and expel mucus from the lungs and may also enhance drug deposition. It has been shown to improve lung function, exercise capacity and quality of life in COPD patients, and a recent real-world study showed that the device reduced exacerbation rates in patients during the critical 30-day post-exacerbation period. Using data from the latter study to provide real-world input, the authors of this current analysis showed cost savings ($553 per patient) and improved outcomes (equivalent to 6 fewer exacerbations per 100 patients per year) with the Aerobika OPEP device compared with no OPEP/PEP use, and concluded that the device provides cost-effective treatment for post-exacerbation COPD patients. The authors also used various scenarios to investigate the likelihood of the benefit continuing over a full year, and predicted further clinical and cost benefits (21 exacerbations per 100 patients per year; cost savings of $1,952 per patient). Author Dominic Coppolo, MBA, RRT, FAARC, Vice President Clinical Strategy and Development noted, “Our model provides evidence of clinical and cost benefits of the Aerobika OPEP device in that critical 30-day period following an exacerbation. Given the high burden of COPD — in particular, costs relating to exacerbations — in the US population, we would expect that even a small benefit would have a significant impact on the healthcare system”. He went on to say that, although further studies would be needed to validate the long-term effectiveness, these data also give a good indication that the benefits will be sustained with long-term use. Novoteris, LLC, a clinical stage medical device and pharmaceutical developer focused on innovative nitric oxide gas applications, announced that the Therapeutic Products Directorate of Health Canada has cleared an investigator sponsored, pilot clinical trial application exploring the treatment of Non-Tuberculous Mycobacteria (NTM) with Novoteris' Thiolanox inhaled nitric oxide gas, using its unique computerized trace-gas delivery system. This single center open label trial will recruit 10 subjects to the Vancouver clinical site. This trial will enable the testing of nitric oxide in patients who have this debilitating disease and who are excluded from the Novoteris Phase 2 placebo controlled trial recruiting patients with Cystic Fibrosis (CF) in North America. Novoteris has demonstrated the broad-spectrum anti-microbial property of nitric oxide effectiveness against mycobacterium both with in-vitro studies and a 4.5 log decrease in sputum bacteria levels in two human subjects with Mycobacterium abscessus that were treated in its pilot clinical trial of patients with Cystic Fibrosis in Europe. Gaseous nitric oxide's potent antimicrobial properties, lack of bacterial resistance, and small molecule penetration capabilities could provide a promising alternative, non-antibiotic approach to treating infections in people living with this disease. "The clearances by Health Canada will enable us to expand our work with this novel therapy to a wider range of people with an exceptional need for more effective antimicrobials and represents another important opportunity for Novoteris," stated Alex Stenzler, President of Novoteris. Monaghan Medical Corporation announced its Aerobika Oscillating Positive Expiratory Pressure (OPEP) device has received a 2017 Innovative Technology designation from Vizient, Inc., the largest member-driven health care performance improvement company in the country. The designation was based on direct feedback from hospital experts who interacted with the Aerobika OPEP device at the Vizient Innovative Technology Exchange in Denver. The device is a drug-free, handheld mechanical oscillating positive expiratory pressure (OPEP) device that has been designed to address the structural and functional challenges in the airways of patients with COPD. When the patient exhales through the device, it helps to expand the airways, loosen and expel mucus from the lungs and may also enhance drug deposition. It has been shown to improve lung function, exercise capacity and quality of life in COPD patients, and a real-world study showed that the device reduced exacerbation rates in patients during the critical 30-day post-exacerbation period. These improved outcomes (equivalent to 6 fewer exacerbations per 100 patients per year) equate to a cost savings of $553 per patient with Aerobika compared with no OPEP/PEP use, making the device a cost-effective treatment for COPD patients. "We are extremely pleased to have been awarded this prestigious recognition from Vizient," said Dominic Coppolo, MBA, RRT, FAARC, Vice President Clinical Strategy and Development. "Our device was recommended by Vizient members, which is a validation of all of the design and clinical work we have done to support our customers. We are the only OPEP device to have received this designation at this year's Innovative Technology Exchange, and are proud it was recognized to deliver improved outcomes and enhanced safety." "Based on feedback from attendees at the Vizient Innovative Technology Exchange, it was determined that the Aerobika OPEP device should be recognized with an Innovative Technology designation. This designation will be noted in our online member contract catalog. Congratulations to Monaghan Medical Corporation on receiving this status," said Debbie Archer, director of procurement and Vizient Innovative Technology Program lead. Vizient represents a diverse membership base that includes academic medical centers, pediatric facilities, community hospitals, integrated health delivery networks and non-acute health care providers and represents more than $100 billion in annual purchasing volume. Through its Innovative Technology Program, Vizient works with member-led councils and task forces to review potentially innovative products. If it is determined that a product is innovative, Vizient may award a contract outside of the competitive bid cycle. Thorasys Thoracic Medical Systems Inc. has announced that the US Food and Drug Administration (FDA) has approved the sale and the distribution of the tremoflo C-100 Airwave Oscillometry System (AOS), a medical device that offers fast, easy assessment of large and small airway function. Measurements are obtained during tidal breathing and without patient effort, which makes it a suitable device for a wide range of patients. "Today's approval is the payoff of more than seven years of persistent hard work by the Thorasys team to develop the innovative tremoflo C-100." said Thorasys co-founder, president & co-CEO, Thomas F. Schuessler. Thorasys Thoracic Medical Systems Inc. is a respiratory medical device company based in Montreal, Quebec, Canada. Thorasys applies cutting edge research and technology to the development of products for pulmonary assessment. It designs, manufactures and commercializes pulmonary function test equipment for the assessment and monitoring of lung diseases such as Asthma and COPD. The company is currently focused on expanding. You can find out more at www.thorasys.com. International Biophysics Corporation, a global medical device manufacturer and the pioneer of mechanical oscillation vest therapy, has introduced its next generation AffloVest fully mobile respiratory HFCWO (High Frequency Chest Wall Oscillation) airway clearance vest. The AffloVest is battery-operated and uses Direct Dynamic Oscillation technology, which closely mimics hand CPT (Chest Physical Therapy) to help mobilize and clear secretions from the lungs, and allows for full freedom of mobility during treatment. Doctors prescribe AffloVest for patients across a wide range of ages who have severe respiratory diseases such as bronchiectasis, cystic fibrosis, and certain neuromuscular diseases. This next generation AffloVest, which began shipping September 1, is much lighter, quieter, and more efficient, with a smaller profile battery and long-life, state-of-the-art motors, offering improved patient ease of use. The new AffloVest is on average 2 pounds lighter (more than 20% less weight) than the previous version - which was already by far the lightest mobile, mechanical oscillation vest on the market. The new AffloVest also uses streamlined components and tailored styling for a sleeker, slimmer fit. International Biophysics founder and CEO, H. David Shockley said: "With this next generation AffloVest, we have once again listened to patients and clinicians to remain the innovator and leader in mechanical oscillation vest therapy. AffloVest was already the lightest fully mobile vest on the market, and our new version is even lighter. Patient comfort and ease of use during treatment is very important, and weight is the major contributing factor to comfortable, sustainable mobile therapy. Simply put, if it's too heavy and difficult to use, patients are not going to like it. AffloVest is light and easy to use compared to other vests." In April 2017, Hill-Rom announced that it was introducing an Afflo-style vest airway clearance device also using mechanical oscillation technology. According to their product literature, that vest will weigh 5 lbs. (38%) heavier than the AffloVest, is restricted to patients 15 years of age and older (in contrast to the AffloVest, which is not age-restricted), and will be available in only one size, unlike the AffloVest, which is available in many sizes to facilitate proper fit for anatomically-targeted treatment. As Hill-Rom's product is not yet commercially available on the market, International Biophysics is not able to independently validate Hill-Rom's promotional claims. Shockley added, "We welcome competition and view imitation as validation that our fully mobile mechanical oscillation is the gold standard for mobile mechanical oscillation therapy. We have thousands of AffloVests already in use and, more importantly, we have clinician data showing lung function improvement with patients. AffloVest is the original, proven innovator in mechanical oscillation vest airway clearance therapy." International Biophysics brings to market innovative, disruptive medical devices and technologies aimed at improving treatment therapies and patient outcomes. Centered on a precision ISO 13485 certified, FDA registered quality controlled USA manufacturing facility in Austin, Texas, International Biophysics has a 25-year pedigree of successful medical product and technology launches around the globe. Pinnacle Sciences, a U.K.-based diverse research and development company, has released news of its latest development, the highly portable, battery-operated Ventilating Mask. A market first, the device is unique in that it provides many modes of therapies — and as opposed to conventional devices that require a tube to connect from a power unit, this device fits directly on the mask completely eliminating dead space. This allows for lower pressures to be used, which the company claims will mean significantly increased comfort for the patient. The device can also be used with a tube, be clothes mounted, or put in a pocket. The device line, expected to cost around $330 with a bundled mask, is not just a CPAP or bi-level device. Variants of the line include full ventilation, cough assistance, as well as high-frequency modes (HFO). Later models will also allow for invasive ventilation options, at similar pricing. Wolf Hayek, President and CEO of Pinnacle Sciences, commented, "We are very proud of this new patented technology, which is set to shake the CPAP/Bi-Level/Cough Assistance and Ventilator markets to the core. The proposed price point of this device, we believe, will shake out the weaker players in the respiratory and sleep markets, and send a shock wave through the industry as a whole. The phrase game changer is often thrown around. This technology will likely end the game for some, and allow others to play it in a completely different way altogether." Hayek added, "DME companies throughout the United States have had to deal with the reality of vastly decreased reimbursement for services and products they provide, often providing those services at a loss. We hope to change that. The line-up of products isn't just aimed at the sleep market, which today is oversubscribed as well as over prescribed — we see this technology as an eventual replacement of a whole host of products for use both in the hospital and the home, at a price point that does away with servicing and other costs associated with competing products. The devices themselves — we see as disposables — for the cough, ventilation and other respiratory arenas. It's cheaper, more versatile, and just so much more convenient." Pinnacle Sciences, a Hayek company, specializes in the development of innovative technologies in the health care, military and transport sectors. For further information, visit www.VentilatingMask.com. ODAPT Soft Mist Adapter has received FDA approval and is now available in the United States. ODAPT is the only product created specifically for use with the Soft Mist family of inhaled medications. Designed by a Respiratory Therapist to provide clinicians and patients a solution for face mask and tracheostomy application of Soft Mist Inhalers (SMI). ODAPT aids in the delivery of soft mist inhaled medications for pediatric and elderly patients where a face mask is required. As well, it expands the delivery of soft mist for tracheostomy patients of whom in the past had no delivery option. Respiralogics and McArthur Medical will introduce ODAPT to the US market during the 2017 AARC meeting, booth 212. McArthur Medical produces the ODAPT family of products. McArthur Medical is a company focused on the development of respiratory innovations. Respiralogics is a provider of innovative products for hospital, emergency, home and specialty care. Alex Stenzler, Founder and President of Novoteris and President of 12th Man Technolgoies in Greater Los Angeles, has joined the Editorial Advisory Board of Respiratory Therapy. Stenzler has been described as a “genius in science and engineering - an inventor and innovator through and through.” His certifications included Registered Pulmonary Technologist-NBRC, and Certified Respiratory Therapy Technician-NBRC. Through research grants, Stenzler was: Principal Investigator, Passive measurement system for respiratory mechanics in newborns, National Institute of Health 1985-1986; Principal Investigator, Passive measurement system for respiratory mechanics in ventilated newborns, National Institute of Health 1986-1987; Principal Investigator, Nitric Oxide for Prevention and Treatment of Pandemic Flu, Defense Advanced Research Projects Agency (DARPA), 2010-2011. Stenzler was honored in 2001 by the March of Dimes as Orange County Technology Leader; and in 2008, he was honored with the Cardinal Health Founder’s Award. Stenzler has also served as an executive with such companies as CareFusion 207, Cardinal Health, and SensorMedics. Instrumentation Laboratory announced the launch of its Customized Connectivity solution, GEMweb Plus 500, to hospitals and hospital networks around the world. From a single dashboard, GEMweb Plus 500 offers complete control of GEM Premier Critical Care testing systems, including new GEM Premier 5000 with Intelligent Quality Management 2 (iQMâ2), as well as connectivity to non-IL-manufactured devices at the point-of-care. Expanding upon the original GEMweb Plus platform, GEMweb Plus 500 offers enhanced mobility with accessibility from tablet devices, in addition to any networked analyzer or PC. Seamlessly integrating control of analyzers, test results and operators into one easy-to-use system, GEMweb Plus 500 simplifies and centralizes point-of-care testing management. To ensure quality management, users can monitor iQM2 and iQM, including detection, correction and documentation of corrective actions in real-time. Facilitating accreditation, GEMweb Plus 500 automates multi-level operator authorization and full traceability of users, actions and competency certification. “GEMweb Plus 500 Custom Connectivity addresses the challenge of managing point-of-care testing in hospitals today. Combining test results, analyzer and operator data, it offers Lab Managers and Point-of-Care Coordinators real-time control from anywhere, anytime, as well as seamless accreditation support,” said Giovanni Russi, VP of Worldwide Marketing at IL. “Together with our new GEM Premier 5000 system, GEMweb Plus 500 Custom Connectivity delivers a complete Critical Care testing solution for improved patient care and efficiency.” GEMweb Plus 500 supports integration with Hospital Information Systems, Laboratory Information Systems and Electronic Medical Records. Users can access data from any networked GEM Premier analyzer, including GEM Premier 5000, 4000 and 3500 systems, and non-IL devices in real-time. Connectivity to ROTEM, Hemochron and other IL systems is currently in development. Dan Van Hise, Vice-President of Marketing with Chart Industries’ BioMedical Division based in Ball Ground, GA, has joined the Editorial Advisory Board of Respiratory Therapy. The BioMedical division includes CAIRE Inc., a globally-recognized brand in oxygen therapy and manufacturer of portable and stationary oxygen concentrators, and liquid oxygen therapy systems. Dan has been an RRT since 1981, beginning his career as a staff therapist at Beth Israel Hospital in Boston and then quickly moving up the ladder to the position of Shift Supervisor and Clinical Educator. He then moved to several other hospitals in the New England Area in management roles, including the Emerson Hospital and the Elliott Hospital. During this time, he also became more involved in Neonatal and Pediatric Respiratory Care and early on became one of the first Neonatal-Pediatric Specialists. Following this achievement, Dan then moved to Colorado to serve as the first Neonatal Respiratory Supervisor at CU Medical Center (University of Colorado). It was during this time that he became an expert in neonatal lung function and was a key contributor in the design of a product called VenTrak that was sold to Novametrix Medical Systems. Since 1992, Dan has been highly involved in the marketing and design of Respiratory Products including mechanical ventilators, oxygen therapy devices, CPAP devices, non-invasive ventilators, and several respiratory diagnostic devices. He is also very active with the AARC International Committee and strongly supports the growth of the Respiratory Care profession and industry. Device manufacturer Hans Rudolph is increasing its manufacturing capabilities by adding two additional CNC (Computer Numerical Control) Mills to its manufacturing floor. The additions of these two machines will help increase its manufacturing capabilities and efficiencies, which will in turn help Hans Rudolph go after new business and help increase its already expansive product line. The line includes masks for pulmonary function/exercise testing, CPAP, BiLevel, NIV, EMS resuscitation, transport ventilation, hi-flow CPAP, Critical Care Ventilation, HBOT, Custom Research applications, Flow, Pressure & Gas Measurements data acquisition and software devices, Linear & Bi-directional Pneumotachometers, Linear Resistors, Volume Calibration Syringes, Volume Validators, DLco Simulators, Flow/Volume Simulators, O2 Conserver Testers, Respiratory Two-Way Non-Rebreathing Valves, Non-Diffusing Gas Bags, Mouthpieces, Nose Clips, Valve Head Supports, Cardiac Output CO2 Rebreathing Valves, Inspiratory Occlusion Valves, Re-Calibration Services on Syringes, Pneumotachs & Resistors, and Custom devices. Novoteris, LLC, a clinical stage medical device and pharmaceutical developer focused on innovative nitric oxide gas applications, announced that both the US Food and Drug Administration and the Therapeutic Products Directorate of Health Canada have cleared its Phase 2 clinical trial application. Novoteris will now begin recruiting subjects into its Phase 2 trial that will be using inhaled nitric oxide for the treatment of Cystic Fibrosis (CF). This multi-center trial will randomize sixty subjects recruited from five cystic fibrosis research centers (Seattle, Los Angeles, Milwaukee, Charleston and Vancouver) to either Thiolanox nitric oxide product or a placebo treatment, delivered with its unique computerized trace-gas mixing system. The Novoteris investigators’ Phase 1 pilot trial in Europe reported encouraging microbiological and significant lung function changes following two weeks of the same treatment in patients with CF. The broad-spectrum anti-microbial property of nitric oxide widens the enrollment eligibility of subjects in this Phase 2 trial with the only exclusion being for Non-Tuberculosis Mycobacterium (NTM), which will be studied in separately planned trials. Gaseous nitric oxide’s potent antimicrobial properties, lack of bacterial resistance, and small molecule penetration capabilities could provide a promising alternative, non-antibiotic approach to treating infections in people living with the disease. "The clearances by the FDA and Health Canada will enable us to advance our work with this novel therapy and represents an important step for Novoteris” stated Alex Stenzler, President of Novoteris. Cystic fibrosis (CF) is an autosomal recessive genetic disorder that affects the lungs most critically. Difficulty breathing is the most serious symptom, which results from frequent lung infections that are most often treated with lifelong inhaled antibiotics. Development of drug resistance to available antibiotics is a major concern for patients with CF. D R Burton Healthcare Products LLC announced the launch of the iPEP Oscillating Positive Expiratory Pressure (OPEP) device, which uniquely combines OPEP and Incentive Spirometer therapies to address all-three respiratory needs: lung expansion, treatment of atelectasis, and secretion clearance. “The iPEP system represents a breakthrough in airway secretion clearance therapy by providing patented volumetric-based OPEP therapy. 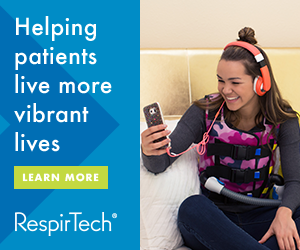 The iPEP takes the mystery out of OPEP therapy by providing patients and healthcare providers with biofeedback that measures the patient’s inspiratory capacity during therapy,” according to Dennis Cook, BSRT, RRT, CEO of D R Burton. Along with a slow-coached inhalation, the iPEP provides superior Expiratory Flow Bias, a key driver of secretion clearance outlined in a recently published study. The iPEP system includes a palm-sized PocketPEP, a compact OPEP device for active patients for use at home to help prevent pulmonary-related readmissions. Cook explains, “There is a need to prevent pneumonia in high risk patients, such as post-operative and patients with increased mucous production. The D R Burton family of OPEP products are designed to reduce the risk of not only hospital acquired pneumonia, but also reduce risk of pneumonia at home after discharge.” D R Burton will be meeting with clinicians to discuss these products both at the American Thoracic Society International Conference on May 19-24 in Washington, DC and at the National Teaching Institute & Critical Care Exposition on May 22-25 in Houston, TX. Monitored Therapeutics, Inc. (MTI), an emerging best-in-class remote patient management company, has received FDA 510(k) clearance for its GoSpiro Home Spirometer. This is the first spirometer that was specifically developed as a home-use wireless connected spirometer that works with a wide range of smartphones, tablets or PCs. Michael Taylor, Chief Development Officer, pointed out that “The GoSpiro is the only spirometer currently on the market that has met the latest and more stringent ISO and FDA device requirements for home use.” The GoSpiro collects diagnostic quality forced spirometry (FVC) and slow spirometry (SVC) with the same accuracy as hospital laboratory systems and provides immediate feedback to patients on the quality of their test performance. The GoSpiro seamlessly integrates with MTI’s GoHome™ Patient Health Monitor, which collects and transmits data from patients and delivers physician’s instructions to them, and with a suite of remote patient monitoring tools already integrated to monitor diseases such as Asthma, COPD, heart disease, hypertension and diabetes. Monitored Therapeutics, Inc. continues to strengthen its focus on respiratory disease management with the addition of the GoSpiro. "The GoSpiro’s 510(k) marks a critical milestone towards completing our system to manage patients with pulmonary disease in their homes.” said Monitored Therapeutics, Inc. Co-founder and CEO William Zimlich. "This is one more step towards our goal of improving patients’ lives and reducing healthcare costs." MTI products include GoHome, GoSpiro, and the MTI CarePortal. Monitored Therapeutics, Inc. is based in Dublin, OH with technology development offices in Garden Grove, CA. For additional information, visit: www.monitoredrx.com. Vortran Medical announced that it has been granted FDA 510K and CE certification approval for the new and improved automatic resuscitator called the GO2VENT (Gas Operated Ventilator). The latest addition to their product line offers an option for ventilation of patients during an MRI or CT scan. The GO2VENT has been tested per FDA regulations by Dr Frank Shellock to meet the MRI compatibility testing and has been approved as a MR Conditional device and is perfect for use during a scan. The new model uses Copper springs to remove the chance of artifacts in the MRI picture. The GO2VENT can be used on a wide patient population from 10kg and above and is a great option for post-operative transport, isolation areas, emergency use and of course disaster management. The new GO2VENT offers the user an ability to save on oxygen consumption now with an easily changeable FIO2 controller which allows the clinician to easily change from 100% O2down to 50% to save gas especially when using a tank during a transportation. The New and improved GO2VENT has changed colors to a more attractive blue and offers clinicians a simple 3 step set up guide right on the device to easily and rapidly set up the resuscitator on a patient especially during an emergency type situation when time is of the essence. For more details, visit the VORTRAN Medical website www.vortran.com. The FDA has given Ganshorn Medizin Electronic GmbH good news by giving 510(k) clearance for its SpiroScout Spirometer. The SpiroScout is a complete spirometer based on the unique ultrasonic measurement principle of Ganshorn. But the SpiroScout is much more than just a spirometer. The SpiroScout is the first ultrasonic spirometer to simultaneously measure flow and gas density providing all necessary information about the volume and gas exchange from one single measurement. Other unique features of the SpiroScout are: high precision spirometry due to direct to flow measurement, easy to clean, easy to operate, all ATS/ERS repeatability criteria built-in the software, no perceived resistance increasing patient comfort, teal-time BTPS correction, drift free and highly accurate, and no volume calibration and warm-up time necessary. Ganshorn Medizin Electronic GmbH has been creating innovative medical products in the respiratory field for over 30 years and finally decided in 2016 to bring their innovative pulmonary function product line to the United States. If you would like to find out more information about the SpiroScout or would like to learn more about the Ganshorn technology visit www.ganshorn.us. Direct evidence-based process change regarding the use of NHF therapy. Dr Hill received his MD from Dartmouth Medical School in 1975. He completed a fellowship in Cardiovascular Medicine at the University of Massachusetts Medical Center and in Pulmonary Medicine at Boston University School of Medicine. He has conducted extensive research and published in the fields of noninvasive ventilation and pulmonary hypertension. He is a Past President of the ATS and has received a Distinguished Scholar Award from the Chest Foundation of the American College of Chest Physicians. Dr Stephan earned his fellowship in Anesthesiology and Critical Care Medicine at Assistance Publique-Hôpitaux de Paris in Paris and spent a year in Geneva at the Hôpitaux Universitaires de Genève, Switzerland. Dr Stéphan’s research interests include the understanding and diagnosis of nosocomial infections, mechanisms of thrombocytopenia in the ICU, and improving the care of patients withrespiratory failure. Dr Stéphan has published over 50 peer-reviewed papers. To take part in the event, pease register at nasalhighflowevents@fphcare.com. Electromed announced the expansion of its SmartVest SQL Airway Clearance System product line to include new SmartVest garment and SQL generator colors, offering patients with chronic impaired airway clearance more opportunities to personalize their HFCWO therapy experience. The expanded SmartVest garment and SQL generator colors were set to make their debut at the North American Cystic Fibrosis Conference in Orlando, Florida, October 27 – 29. For the SmartVest garment, the company unveiled seven designs, including green camouflage, pink camouflage, and black. The SmartVest features Velcro-like closures, soft-touch fabric, and a single-hose design to make treatment easy and comfortable. As for the SmartVest SQL generator, it's considered the lightest HFCWO generator on the market, and is now available in four unique colors to fit a patient's personal style: blue, red, bright blue, and gray. "The SmartVest and SQL color expansion provides greater customization of one's HFCWO therapy to promote patient satisfaction, which ultimately encourages therapy adherence," commented Kathleen Skarvan, President and Chief Executive Officer of Electromed. "We're proud to stand by our commitment to continued innovation by delivering market-driven HFCWO therapy solutions." With the expansion to seven garment colors and four generator enclosure colors, patients receive a greater opportunity to uniquely customize their SmartVest system. Higher personalization can positively influence satisfaction with therapy and may improve adherence, along with the SmartVest's ease of use, ergonomic comfort, and lifestyle convenience. The new color selection is marketed for domestic homecare use only. The SmartVest system is designed to promote airway clearance and enhance bronchial drainage through high frequency chest wall oscillation (HFCWO), a proven clinical therapy that helps clear the lungs of excess secretions, reducing the risk of respiratory infections and hospitalizations. Airway clearance therapies must be consistently followed to have their intended benefit, and as with any treatment, poor adherence can compromise its effectiveness. Fisher & Paykel Healthcare welcomes new research on the benefits of its Optiflow nasal high flow therapy. This research will be presented at the American Association of Respiratory Care (AARC) Congress in San Antonio, Texas from October 15-18. Earlier in October, the prestigious Journal of the American Medical Association (JAMA) published another study led by Associate Professor Hernández MD, which investigated the use of nasal high flow (NHF) therapy in comparison to non-invasive ventilation (NIV) for patients at high-risk of reintubation. The randomised clinical trial was conducted across three intensive care units and used Fisher & Paykel Healthcare's Optiflow nasal cannula. The research showed that among high-risk adults who had undergone extubation, NHF was not inferior to NIV for preventing reintubation and post-extubation respiratory failure. The multicentre randomised non-inferiority clinical trial, involving 604 adults in three intensive care units in Spain, found that the proportion requiring reintubation was 22.8% with NHF therapy vs 19.1% with NIV, and post-extubation respiratory failure was observed in 26.9% with NHF vs 39.8% with NIV, reaching the non-inferiority threshold. As secondary outcomes, median time to reintubation was not significantly different in the two groups but median ICU length of stay after randomisation was lower in the NHF group: 3 days vs 4 days. In addition, adverse effects requiring withdrawal of the therapy were observed in none of the patients in the NHF group vs 42.9% of patients in the NIV group. This research follows on from an earlier study in 2016 by Assoc. Prof Hernández and colleagues, which found that the use of Optiflow NHF therapy reduced the risk of escalation for extubated patients within 72 hours when compared to conventional oxygen therapy. The much better comfort and tolerance of NHF compared with NIV, permitting nearly 24 hours of daily use, are significant advantages3 and together, these two studies published by Assoc. Prof Hernández comprise compelling clinical evidence of the benefits of Optiflow NHF therapy. As a manufacturer of Intelligent Ventilation solutions, Hamilton Medical provides caregivers with technologies that allow them to focus on the important aspects of patient care. To expand the Intelligent Ventilation concepts to devices directly involved in critical care ventilation was the next logical step. "Humidification is an important part of respiratory care. When we developed the HAMILTON-H900 humidifier, we talked to many clinicians to understand what they would improve in conventional humidification," explains Jens Hallek, President of Hamilton Medical. Easier handling of circuits, cables and connections, an improved user interface, reduction of rain-out, and increased safety were the most requested enhancements. The HAMILTON-H900 aims at improving humidification in exactly these areas. The HAMILTON-H900 comprises only two components, which are delivered pre-assembled and ready to use: The wall-heated breathing set including the new all-in- one connectors, integrated temperature probe, water refill tube, Y-piece, and water chamber, and the humidifier base with the user interface and the heating plate. This saves time, increases efficiency, and facilitates the handling of the humidifier, as well as reducing the risk of contamination. With no need to worry about extra cables to connect or disconnect anymore, the caregiver only needs to slide the water chamber into the humidifier and connect the breathing circuit to the patient. The breathing circuits for the HAMILTON-H900 integrate the heater wires into the circuit wall. This eliminates the cold interface between heated breathing gas and ambient temperatures, and leads to significantly reduced condensation and rain-out effects in the breathing circuit. To perfectly adapt the humidification therapy to the individual patient and environmental conditions, the HAMILTON-H900 humidifier allows for manual adjustment of the chamber temperature and temperature gradient. Having too much condensation in the tubing can, therefore, be avoided by adjusting the temperature gradient. By reducing the need to open the circuit to drain condensate, the HAMILTON-H900 minimizes the potential for the spread of pathogens associated with the development of ventilator-associated pneumonia (VAP). Due to the ergonomic design, the user interface can be easily seen and operated from a standing position, and provides all the information the caregiver needs at a glance. The large, high-contrast LC display provides excellent readability, even in direct sunlight. Alarms are displayed with self-explanatory icons on the LC display, and can be heard and seen from afar thanks to the bright alarm lamps and audible alarm. Clayton, Dubilier & Rice ("CD&R") announced an agreement under which CD&R-managed funds will make a significant equity investment alongside existing management in Drive DeVilbiss Healthcare ("Drive"), a global manufacturer of medical products. Terms of the transaction were not disclosed. Formed in 2000, Drive has become a leading manufacturer of medical products with a strong and consistent track record of growth achieved both organically and through acquisitions. The company's high-quality, diverse product portfolio, channel footprint and global operating scale were strategically built by its executive leadership team to take advantage of favorable underlying demographic and industry trends. Drive's products include a full suite of mobility, respiratory, sleep, bath and personal care, specialty beds, pressure prevention, rehabilitation and other related products, and are sold into the homecare, long-term care, retail and e-commerce channels. Drive serves a customer base of more than 15,000 dealers, home healthcare providers, healthcare distributors, retailers and e-commerce companies and sells its branded products in more than 80 countries around the world. "Drive's management team has done an exceptional job of identifying and capitalizing on the increasing demand for its products across multiple channels," said CD&R Partner Richard J. Schnall. "We intend to play a constructive role by supporting a very talented management team as it continues to grow the business organically and through acquisitions, pursue operational excellence and serve its customers with the highest quality products." Since 2002, Drive has completed 25 acquisitions that have expanded its product portfolio, geographic reach and manufacturing capabilities. In July 2015, Drive completed the transformational acquisition of DeVilbiss Healthcare, a global manufacturer of respiratory and sleep products. The acquisition provided Drive with a strong platform and a significant cross-selling opportunity in the fast-growing respiratory and sleep market segments, while increasing the company's manufacturing capabilities and its market presence around the world. Since the successful integration of DeVilbiss, Drive has operated under the name of Drive DeVilbiss Healthcare. Derek Strum, CD&R Principal, added: "We believe Drive has substantial runway for continued organic growth given the company's strong value proposition, partnership approach with its customers and significant product breadth. Drive also has a strong pipeline of acquisitions, which should result in continued robust growth in the years ahead." Richard Kolodny, President of Drive, said, "As successful as we have been since our founding in 2000 and with the support we received from Ferrer Freeman & Company over the past eight years, we believe that our growth story is just beginning. With CD&R as our partner, we are confident that we will realize the full potential of the company." CD&R has obtained committed financing from Barclays, JPMorgan Chase Bank, N.A., Citigroup Global Markets, Inc., Capital One, National Association and HSBC Securities (USA) Inc. Barclays, J.P. Morgan Securities LLC and Citi acted as financial advisors and Debevoise & Plimpton LLP acted as legal advisor to CD&R in connection with the transaction, which is expected to close in the fourth quarter of 2016. Drive's financial advisor was Robert W. Baird & Co., and its legal advisor was Bryan Cave LLP. A Clinical Breakfast Symposium is being organized for the AARC congress on Optiflow Nasal High Flow Across the care continuum. The event is on October 15 from 6:30 to 8:15 a.m. At the Grand Hyatt Hotel in San Antonio, Texas. The presenter is Prof. Jean-Damien Ricard, Universitie Paris Diderot, and Hopitaux de Paris, and Dr Gonzalo Hernandez, from the Hospital Virgen de la Salud in Madrid, Spain. At the end of the session, people will be able to identify the current evidence for Nasal High Flow therapy, including mechanisms of action, evaluate the emerging and clinically significant applications for NHF therapy, and discuss the evidence regarding the use of NHF. CRCE credits will be available. For more details, contact your Fisher & Paykel Healthcare rep. Call (800) 446-3908 or email nasalhighflowevents@fphcare.com. Nonin Medical, Inc., the inventor of finger pulse oximetry, has announced the results of a new independent hypoxia lab study in humans that demonstrates that Nonin's PureSAT pulse oximetry technology captures and reports worsening patient conditions better than other Food and Drug Administration (FDA)-cleared oximeter brands. Nonin made the results available in a white paper at the American Thoracic Society (ATS) and American Telemedicine Association (ATA) conferences. In the study, conducted independently by Clinimark Laboratories in Boulder, Colo., three finger pulse oximeters were tested; one from Nonin Medical and two from large, private-labeled manufacturers. All oximeters had FDA 510(k) clearance as "medical devices," but two of them did not provide the clinical accuracy required to track desaturations in patients with low blood circulation and labored breathing. Only the Nonin Medical oximeter was able to accurately track the desaturation events as compared to an independent hospital tabletop oximeter control device. "Over the years, a number of inexpensive, imported FDA-cleared oximeters have flooded the market, all claiming to be accurate," said Jim Russell, vice president of quaIity, regulatory and clinical affairs for Nonin Medical. "This study dispels the myth that all pulse oximeters perform alike, especially on challenging patients such as those with chronic obstructive pulmonary disease (COPD). Passy-Muir, Inc., the industry leader in tracheostomy education and manufacturer of the patented no-leak Passy-Muir Valve is honored to announce the appointment of Kristin King, PhD, CCC-SLP to the position of Vice President of Clinical Education & Research. Dr King comes to Passy Muir from the University of Tennessee Knoxville, where she was professor of Audiology and Speech Pathology. Her expertise is in cognitive-communication and swallowing disorders with medically complex patients of all ages, particularly those with needs secondary to traumatic brain injury (TBI), tracheostomy/ventilator, and pre-term birth. She has trained SLPs in FEES and VFSS and developed a program for SLPs in the management of patients on ventilators and the use of Passy-Muir Valves at a level-one trauma hospital. Dr King has published several peer-reviewed articles regarding evaluation and treatment of TBI, and regularly speaks to domestic and international audiences on the benefits and use of speaking valves, evaluation and treatment following TBI, and swallowing disorders. Dr King earned her PhD in Communication Sciences and Disorders from East Carolina University in 2008, and brings extensive experience as a college professor, published clinical researcher, and international speaker to her new position at Passy Muir. As a part of her responsibilities, Dr King will Chair Passy Muir's Centers of Excellence program, will act as Editor in Chief for Talk-Muir, will coordinate product related research, and work with the company's clinical education team to design and develop instructional programs and materials. A spirometry order is created from the IMS Visit. The order with full patient demographics is available from any KoKo testing station. All of the available KoKo spirometry tests can be performed, including FVC pre- and post-bronchodilator, challenge, and SVC testing. Test results are automatically returned to the IMS Visit Note with a formatted text report, configurable PDF graphical report, and interpretation notes. "In the Allergy, Asthma, and Immunology specialty, AllergyEHR has been rated the #1 EHR vendor by Black Book year after year. Partnering with KoKo enables us to keep delivering innovative solutions to our clients to meet the demanding and changing needs of their medical practice," says Manish Amin, Director of Product Development at Meditab. "This partnership helps our common customers make the most of their EHR and spirometry systems." Mary Burrell, Vice President of Global Sales at nSpire Health added, "There is an enormous demand for interoperability between our systems. We are coordinating the implementation efforts to ensure a seamless and quick customer implementation." Respiratory Motion, Inc., in conjunction with their exclusive distribution partner, IMI Co., Ltd., Japan, received Japanese regulatory approval for their new ExSpiron 1Xi Minute Ventilation Monitor. Respiratory Motion, Inc. developer of ExSpiron, is the only patient monitor measuring non-invasive Minute Ventilation, critical for early identification of potentially life-threatening respiratory depression. Respiratory Motion's ExSpiron 1Xi was launched by IMI Co., Ltd. at the Japanese Society of Intensive Care Medicine at the February 11th-14th conference. The Japanese Society of Intensive Care Medicine (JSICM) was founded in 1974. Physicians joining the JSICM have specialized in intensive care with past experiences as anesthesiologists, emergency physicians, cardiologists, and pediatricians. The ExSpiron patient monitor provides non-invasive monitoring for Minute Ventilation, Tidal Volume and Respiratory Rate. Knowing a patient's minute ventilation, how much air they breath in one-minute, is essential to knowing their respiratory status. ExSpiron is the ONLY respiratory device to provide this comprehensive information for non-intubated patients enabling a more complete and quantifiable patient assessment throughout the care continuum. ExSpiron technology was first introduced to the Japanese market in 2015 in lectures given at several conferences by prominent physicians. Clinical research presented at JSICM overwhelmingly confirms that current respiratory monitoring using Respiratory Rate or EtCO2 is insufficient with potentially over 80% of Respiratory Depression events going undetected. Highlights of some of these six significant presentation include: * "Risk Stratification Using a Respiratory Volume Monitor" Late detection of respiratory depression (RD) in non-intubated patients compromises patients safety. Respiratory Volume Monitoring (RVM) can detect patients at risk for opioid-induced RD and/or experiencing post-operative apnea. * "Ventilation is a Better Assessment of Respiratory Status than EtCO2" EtCO2 measurements in non-intubated patients are unreliable so clinicians resort to using the respiratory rate (RR) measurements from the capnograph. Normal EtCO2 coincided with adequate RR just 24.9% of the time. Data demonstrated that relying on capnography to capture the respiratory status in non-intubated patients is lacking. * "Respiratory Rate is a Poor Assessment of Respiratory Status During and After Upper Endoscopy Procedures" Despite the use of capnography monitoring, incidence of low MV during routine endoscopic procedures was significant. Over 80% of all low MV episodes would not have triggered a low RR alarm. Conventional RR monitoring alone would fail to capture more than 80% of all low MV episodes. * "Assessing Ventilation in Patients Receiving Opioids" Monitoring respiratory rates as low as 6 breadths/min would still miss nearly 90% of Low MV episodes. * "Identifying Patients at Risk for Respiratory Depression" RVM can identify and quantify respiratory compromise in the PACU, ICU, or GHF. * "Respiratory Volume Monitoring Reduces False Alarms". Respiratory depression poses a significant threat to the safety of patients in Japan, where aging population and economic pressures have pushed hospital systems to embrace novel technology to eliminate preventable adverse events and contain cost. As in the United States, health care providers in Japan seek ways to identify patient risk before it becomes life-threatening. Repeated studies show the ExSpiron Patient Monitor is more effective than other technologies for identifying subtle changes in respiration that foreshadow life-threatening respiratory depression. Seegobin RD, van Hasselt GL. Endotracheal cuff pressure and tracheal mucosal blood flow: endoscopic study of effects of four large volume cuffs. Br Med J (Clin Res Ed). 1984 Mar 31;288(6422):965-8. Lorente L, Lecuona M, Jiménez A, Lorenzo L, Roca I, Cabrera J, Llanos C, Mora ML. Continuous endotracheal tube cuff pressure control system protects against ventilatorassociated pneumonia. Crit Care. 2014 Apr 21;18(2):R77. Nseir, Saad, et al. Continuous control of tracheal cuff pressure and microaspiration of gastric contents in critically ill patients. Am J Crit Care 184.9 (2011): 1041-1047. Lizy C, Swinnen W, Labeau S, Poelaert J, Vogelaers D, Vandewoude K, Dulhunty J, Blot S. Cuff pressure of endotracheal tubes after changes in body position in critically ill patients treated with mechanical ventilation. Am J Crit Care. 2014 Jan;23(1):e1-8. Maquet Medical Systems USA announced the availability of its two new intensive care ventilators, SERVO-U, and its dedicated neonatal intensive care solution, SERVO-n. The launch of SERVO-U and SERVO-n marks the latest advancement in Maquet's longstanding leadership in mechanical ventilation and innovation with the SERVO brand. SERVO-U and SERVO-n were cleared by the U.S. Food and Drug Administration in December 2015. "SERVO-U and SERVO-n are quintessential Maquet products as each boasts our rich heritage in, and company-wide commitment to innovation in ventilation," said Raoul Quintero, President, Americas, Getinge Group. "Both ventilation platforms will allow us to bring additional, user-friendly support tools to clinicians at a time when care practice optimization is more important than ever. A clinician's ability to tailor ventilation to individual patient needs, through the intuitive user interface and the system's advanced capabilities like NAVA, is essential within the critical care environment. We believe that once our customers have tried SERVO-U and SERVO-n, they will never look at mechanical ventilators in the same way again." SERVO-U represents the next step to making protective ventilation more accessible, understandable and easy to implement, putting solutions at clinicians' fingertips to support the delivery of tailored patient care. At the foundation of SERVO-U is a completely touch-based interface that empowers users to manage ventilation in a highly intuitive and timesaving manner. The platform, which can be used on neonates through adults, supports efficient workflow in the fast-paced intensive care environment through on-screen, context-based guidance and clinical support tools that help facilitate the implementation of the various ventilation protocols. Available on each SERVO-U are innovative technologies such as NAVA® (Neurally Adjusted Ventilatory Assist) and Edi monitoring for enhanced patient-ventilator interaction and greater insight into patient respiratory condition. In addition to the solutions that SERVO-U brings to patients and clinicians, the platform is designed to grow with the customer. When patient needs change or new functionalities become available, SERVO-U can be upgraded easily and cost-effectively. The intuitive ventilation platform is the result of a comprehensive development process that involved collaboration with intensive care experts from around the world. The launch of SERVO-U marks the latest offering in Maquet Medical System's SERVO franchise which has been a longstanding leader in the global mechanical ventilation market. Passy-Muir (Irvine CA), the leading manufacturer of the No Leak speaking valve is introducing two adapters to provide clinicians with a way to easily connect the Passy-Muir Valve inline while the patient is mechanically ventilated. The adapters are designed to provide a secure connection between the Passy-Muir Valve and a tracheostomy tube, ventilator tubing, closed suction systems, or other adapters. Each adapter is latex free, color coded for easy identification, and provided in re-sealable, multiple unit packaging. The PMV-AD1522 is a step-down adapter to connect the PMV 007 (Aqua Color) to a T-piece type closed suction system. The flexible, PMV-AD22 adapter is designed to be used with the PMV 2001 (Purple Color). All Passy-Muir's products are proudly made in the USA. Both adapters will be available for purchase through Passy-Muir. In other company news, Passy-Muir recently released a new user-friendly app for iPhone and iPad designed to facilitate patient communication, provide valuable information regarding tracheostomy and foster patient participation in care. The app includes a number of useful features including: Pre-recorded responses & phrases which enable communication at a touch of a button, user-defined male or female voice, child voice option, attractive and intuitive menu, and custom phrase record option. Clinicians attending the 2015 ASHA conference may have caught a glimpse of some exciting revisions to the Toby Tracheasaurus pediatric program. The enhancements include new dinosaur cartoon characters, new therapeutic activity cards, and a clinically improved Toby Tracheasaurus Coloring & Activity Book that is sure to appeal to tracheostomized children, their caregivers and clinicians. Each Toby Tracheasaurus pediatric program kit comes with a draw-string backpack containing a Toby Tracheasaurus Plush Toy, the Toby Tracheasaurus Coloring & Activity Book with crayons, and a Toby Tote with an assortment of therapeutic toys. Featuring a pediatric tracheostomy tube and Passy-Muir Valve for the purpose of demonstration and education, the Toby Tracheasaurus Plush Toy provides therapists with a lighthearted method to introduce children to tracheostomy and the Passy-Muir Valve, while facilitating vocalization and enhancing therapeutic activities. Ciel Medical, a medical device start-up focusing on unmet needs of those caring for the intubated patient, has announced the launch of the Sherpa Suction System, a tool to give nurses and respiratory therapists greater confidence in suctioning secretions pooling above the endotracheal tube's inflated cuff. Caregivers want to remove these mucus secretions to avoid aspiration into the lungs and the subsequent risk of acquiring ventilator associated pneumonia (VAP). The Sherpa Suction System is a single-patient product and includes the Sherpa Suction Guide and Suction Line. The Guide is a single molded unit that includes a locking feature, handle, soft tip and compatible with ETT sizes from 7.0 to 8.5 mm. Sherpa Suction Guide is easily clipped to the underside of the endotracheal tube and advanced until the handle is at the patient's teeth. The integrated Suction Line easily threads through the Guide, is advanced through the opening in the handle and guided to the optimal position for removal of secretions. The Sherpa Suction System allows for selective and cost-effective use of above-the-cuff suctioning in targeted patients. Draeger Medical, Inc. has made a large donation to help with the training of Respiratory Therapists. Draeger is a proud corporate partner of the AARC and offers leading innovations in respiratory care, including advanced ventilation modes, lung recruitment strategies and unique knowledge-based weaning programs, which will help to maintain cost-effectiveness and improve patient outcomes. Hospitals face enormous challenges attracting qualified Respiratory Therapists to meet the increasing demands placed on our health care system today. Institutions of higher learning that offer Respiratory Care education are on the front lines of training the next generation of dedicated Respiratory Care professionals. Broad training on modern-day mechanical ventilator products is essential to ensuring a new RT graduate is prepared to enter the workforce. During the AARC Summer Forum, Dräger was pleased to offer ten ventilators to Respiratory Therapy schools. These state-of-the-art devices were raffled off during the education section meeting, which addressed trends related to contemporary RT education. "Providing the latest technology in mechanical ventilation fosters a greater learning experience in the lab setting for RT students, and better prepares graduates for the workforce," said Ed Coombs, MA, RRT-NPS, ACCS, FAARC, director of marketing for Intensive Care & Neonatal Care, Draeger Medical, Inc.